Shanthi B., Meena A.K., Rupam B., Ramasastry G., Sandip V.S. Department of Transfusion Medicine, Nizam's Institute of Medical Sciences, Punjagutta, Hyderabad, India. The study of 44 sample showing low/borderline positivity on Enhanced chemiluminiscence (0.9 to 8) which were further subjected to HCV RNA quantification to study the possibility of transmitting HCV through this blood was done in our blood bank. The prevalence of anti HCV antibody among blood donor has been over estimated in recent year further higher rate of false positivity in Enzyme Immunoassay and Enhanced chemiluminiscence explain that only a minor part of EIA positive blood unit transmitted HCV to recipient. In our study done at SDMH, Blood Bank, Jaipur shows that only 18% of low positive anti HCV ECI results are HCV RNA positive, and 82% are false positive. In low positive anti HCV blood donors most results will be false positive. In such cases HCV RNA (which can identify false positive reaction) should be the test of choice. To avoid this waste and apprehension in blood donor should HCV RNA (NAT test) be the test of choice, can EIA result be overlooked in these cases. Introduction : Therapeutic plasma exchange is a safe procedure and its beneficial effects are established in many immune neuropathies such as Guillain-Barré syndrome and in autoimmune diseases such as myasthenia gravis. In this study, we have evaluated the role of therapeutic plasma exchange, done along with other medication, in the treatment of neuroimmunological diseases. We have also studied the protocol of the procedure, which includes preprocedural management with IV fluids, heparin, coagulation studies and other basic investigations, total volume to be collected during the procedure, anticoagulant ratio, extracorporeal volume, monitoring for complications, and volume replacement after and during the procedure. We have also studied the clinical outcome after plasma exchange. Materials and Methods: Haemonetics and Baxter were used. The principle is centrifugation and cell separation by intermittent flow method. Fifteen cases that underwent therapeutic plasma exchange during the period from December 2008 to June 2009 were evaluated. Conclusion: Benefits of therapeutic plasma exchange are well documented in Guillain-Barré syndrome, acute immune neuropathies like bilateral optic neuritis, and in autoimmune disorders like myasthenia gravis. It is an absolutely safe procedure if patient hydration is maintained and intravenous calcium gluconate/heparin are given as and when necessary. Gupta V., Meshram N., Vagha S.J. Department of Pathology and Blood Bank, AVBRH, Jawaharlal Nehru Medical College, Sawangi. Wardha, India. Introduction : There is a large deficit of blood in hospitals in rural setups, and blood banks are highly dependent on volunteers and replacement donors. There is a lack of awareness about blood donation and the common causes of donor deferral in rural populations. Aims and Objectives : To study the donor deferral rate in a rural population and to find out the most common causes of donor deferral in this population. Materials and Methods : This retrospective study was done over a period of 21/2 years (January 2007-June 2009) and was conducted in the blood bank of AVBRH at Jawaharlal Nehru Medical College, Sawangi. The study population consisted of blood donors and those willing to donate blood but were deferred for some reason or the other. Results : The overall deferral rate is 7.78%. The deferral rate for the individual years is 4.69%, 9.96%, and 6.82% for the years 2009 (for 6 months), 2008, and 2007, respectively. The most common cause of donor deferral was hemoglobin < 12.5 gm% (21%); other reasons were alcohol intake, drug intake, weight < 50 kg, upper or lower respiratory tract infection, hypertension, fever, allergies and skin diseases, jaundice, tuberculosis, etc. Among the low hemoglobin group, the proportion of females was high, especially when compared with their donor rates. The main reasons for deferral of female donors included menstruation or a history of menstrual problems. Conclusion : There is a significant deferral rate in the rural population, with females having an especially high deferral rate. Public education about blood donation and of the reasons for donor deferral may lower the deferral rates. Short-term measures like education on avoidance of alcohol and drug intake before blood donation may also reduce the deferral rate. Department of Transfusion Medicine, The Tamil Nadu Dr MGR Medical University, Chennai, Tamil Nadu, India. Background : Blood donor deferral is a complex process. A person is considered a suitable blood donor only if the donation is safe for both the donor and the recipient. There are many reasons for which a person can be deferred from blood donating. A donor must be free from any blood-transmissible disease as far as it can be determined by the health history and medical examination. Aim : To evaluate the causes of blood donor deferral in our center. Methods : This is a retrospective study carried out in our center from 2003-2009. Prior to donation, donors were counseled and asked to fill out a medical history questionnaire. Donors were screened for hemoglobin level, blood pressure, and weight and all also underwent a medical examination. Results : There were a total of 10,440 voluntary blood donors during the study period; 8789 (84.18%) were male and 1651 (15.81%) were female. Of these, 1180 (11.16%) donors were finally deferred. The deferral was temporary in 1150 (97.46%) cases and permanent in 30 (2.54%) cases. The most frequent reasons for temporary deferral were low hemoglobin level [438 cases (37.11%): 146 men (1.66%) and 292 women (17.69%)]; high blood pressure [259 cases (21.94%): 220 men, 39 women]; on medications [218 cases (18.47%): 130 men, 88 women]; low weight [97 cases (8.22%): 25 men and 72 women]; viral infection/inflammation [88 cases (7.45%): 57 men and 31 women]; low blood pressure [37 cases (3.13%): 8 men and 29 women]; and surgery [13 cases (1.10%): all men]. Reasons for permanent deferral included cardiovascular diseases [16 cases (1.35%): 14 men and 2 women]; asthmatics on steroids [10 cases (0.84%): 8 men and 2 women]; history of epilepsy [2 cases (0.16%)]; and abnormal bleeding tendency [2 cases (0.16%)]. Conclusion : Our preliminary results show that the major cause of deferral among men was high blood pressure and among women it was low hemoglobin level. It is a common belief that donors who have been deferred temporarily have a lower return rate than those who have not. We must give clear explanations to the patient regarding the reason for deferral. These motivated voluntary blood donors who are temporarily deferred can become regular donors when properly followed, thereby increasing the donor pool. Department of Immunohematology and Blood Transfusion, Indira Gandhi Medical College, Shimla, India. Introduction : Regular voluntary non-remunerated blood donors (VNRBD) are the cornerstone of any blood transfusion services as they are the only source of safe and adequate supply of blood and blood products. For a safe blood service in our country, where comprehensive laboratory tests are not always possible, it is best to collect 100% of the required blood from VNRBDs. This requires effective participation of various NGOs and awareness among the masses. Aim : The present study was undertaken retrospectively to compare the voluntary blood donation camps organized and the number of the voluntary blood donors who donated in the camps over a period of 3 years. Results : A total of 140 camps were organized over the last 3 years and 7404 voluntary donors donated blood at these camps. The results of the study show that there is an increase in the trend for organizing voluntary blood donation camps but donor participation shows a declining trend. Increase in the number of blood donation camps is due to effective awareness and education campaigns conducted by blood banks and the maintenance of cordial relationships with the concerned NGOs. The declining trend in donor participation is because of the fact that the number of VNRBDs is not increasing although there is an increase in the participation of new voluntary donors. Conclusion : In view of the results of this study, it is suggested that more emphasis should be laid on strategies to retain regular VNRBDs; for example, they should be treated with respect as individuals, be sent 'thank you' letters, be given rewards and/or recognition for their service, have their demands processed promptly, and care should be taken to provide them with a pleasant environment and experiences during their visit to the camp or blood bank. It is further suggested that each hospital should formulate a strategy to treat them on a priority basis in other departments of the hospital as well. Theodore M., Mathur A., Jagannathan L., Mudaliar S.
Rotary Bangalore-TTK Blood Bank, Bangalore Medical Services Trust, Bangalore, India. Introduction : The Stem Cell Registry (SCR) is a data bank of people who register as voluntary unrelated blood stem cell donors. This registry will help to save the lives of patients suffering from leukemia, thalassemia, and several blood disorders for which the only cure is a stem cell transplant. The procedure requires finding a match for the patient's tissue type. It has become imperative to maintain a registry to facilitate this. Therefore, the Rotary Bangalore-TTK Blood Bank, a not-for-profit organization with 25 years of rich experience in blood transfusion services, has initiated a pilot project in June 2008 to enlist blood donors as potential SCR donors. Aim : To find out how effective counseling could be for enlisting voluntary blood donors as voluntary stem cell registered donors. Materials and Methods : Potential blood donors were provided one-to-one counseling for recruitment and retention as SCR donors at voluntary blood donation camps. Posters with messages on the importance of the SCR were displayed and handouts were given. Results : At the 165 blood donation camps held between May 2008 and July 2009 approximately 14,000 donors were given counseling and, of these, 24.79% have registered as potential SCR donors. The study focused on donors at blood donation camps held at software industries, as these donors are well informed, educated, and easy to keep track of or trace even after many years. The majority of our donors were males (98%) and young, most being in the age-group of 20-35 years (90.86%). These donors were also screened for risk behavior and transfusion transmitted diseases. The registered donors are from all over India and therefore represent different Indian ethnic populations. Blood samples were collected from the donors with their informed consent, and these samples have been stored. Conclusion : With proper counseling, existing voluntary blood donors are generally willing to become voluntary stem cell donors. Background : India is the second largest country in the world in terms of population. The people of India belong to many different ethnic groups and religions. There are 14 major languages and more than 1000 minor languages and dialects. Religious sentiments, cultural background, and socioeconomic conditions play an important role in the decision to donate blood. India has a large number of eligible blood donors but due to various reasons the quantity of blood being collected is far too little in comparison to that in the developed (and some developing) countries. No correct figures are available regarding the actual requirement of blood in this country. The only data available is regarding the quantity of blood being collected and these figures are available with NACO and SACS. About 60% of blood collected in the country is donated by voluntary non-remunerated blood donors and the remaining 40% is collected from replacement/directed donors. There is a big gap between the demand and supply. Regular, voluntary, non-remunerated blood donors are considered to be a safer source of blood than replacement and blood-relative donors. In India, most of the voluntary donors are first-time donors. Repeat donors are few. To recruit voluntary non-remunerated regular (repeat) blood donors is very essential. The blood transfusion services, donor motivators, and nongovernmental organizations (NGOs) should understand the demographic and psychological factors in motivating the blood donors. Aim : 1) To identify the reasons for not donating blood, 2) to identify the areas to be targeted to address the common reasons, 3) to analyze the target groups, 4) to find the means to motivate voluntary blood donors, and 5) to encourage first-time donors to become regular blood donors. Materials and Methods : Target groups: To be eligible for inclusion in this study the donor had to be at least 18 years of age and above 45 kg in weight. People in the 18-25 years age-group are very important as they are in college and are easily motivated to donate blood. It is important to retain this group. Once they develop an interest in this social cause they have the potential to become regular blood donors. On the other hand, people between 25-45 years of age are more interested in building their careers and have other pressing responsibilities. They try to give excuses to avoid blood donation. They need to be motivated in different ways, for example, by recognition of their service, etc. Those between 45-60 years of age may have developed various health problems; however, they may be interested in motivating their children to become blood donors. Retired people and deferred donors also may be motivated to encourage others for voluntary blood donation. Target locations: Educational institutions, information technology (IT) industry, State and Central Government offices and undertakings, religious orders, political parties, youth associations, NGOs, fan clubs, trade unions, business and commercial organizations etc. Conclusion : In spite of various methods being followed to motivate voluntary blood donors we could achieve to some extent in making an individuals to donate blood for the first time. First time blood donors did not become repeat blood donors in this study due to various reasons. Some of the common reasons were: 1) migration, 2) change in address, 3) change of job, 4) not being contacted after the first donation. Department of Transfusion Medicine, Government Medical College, Trivandrum, India. Background : Vasovagal reactions (VVR) are common among blood donors and are known to be inversely associated with donor weight. The relationship between VVR and BMI, which adjusts donor weight for height, is not well explored. Aim : To study the relationship between VVR and BMI. Method : Whole-blood donors in our blood bank over the past 1 year were eligible for inclusion in the study. Females and repeat donors were excluded. The weight and height of donors were collected from their donor registration forms. Donors who had had a reaction during the donation or during the postdonation refreshment period, including minor subjective feelings of uneasiness, were tested for association with BMI. Results : BMI was inversely related with VVR, with 11.31% of donors with BMI < 18.5 developing VVR compared to 3.4% among those who had a BMI > 30. The mean BMI of donors who had VVR was 22.37, whereas donors who did not develop VVR had a mean BMI of 23.02. Conclusion : BMI can be a significant predictor of VVR in donors who fulfill the weight criteria for whole-blood donation. Anupam Verma, Das S. S., Chaudhary R. K.
Department of Transfusion Medicine, Sanjay Gandhi Post-Graduate Institute of Medical Sciences, Lucknow, India. Introduction : Though an acceptable hemoglobin (Hb) value of ≥12.5 gm/dl can optimize the quality of the red cells separated from a unit of whole blood, the quality of platelets prepared from the same unit is not so certain and is directly dependent on the donor's platelet values. Since donor deferral criteria is based on Hb value alone, an insight into the various platelet parameters of donors who have been accepted or deferred on the basis of Hb value becomes essential to optimize product quality. Aims and Objectives : To analyze the predonation platelet indices like platelet count, plateletcrit (Pct), mean platelet volume (MPV), and platelet differential width (PDW) in our accepted and deferred whole-blood donors and to examine how normal or abnormal platelet values are associated with donor acceptance and deferred status. Methods and Materials : This 5-month prospective study included 822 consecutive accepted and deferred whole-blood donors (723 and 99, respectively) between 19-51 years of age. All healthy blood donors were subjected to quantitative Hb estimation and evaluation of platelet indices by an automated cell counter (Micros 60, ABX diagnostics, France). Results were calculated as mean ± SD, and a P value of < 0.05 was considered statistically significant. Results : The mean (±SD) platelet counts (×106/ml) in male and female accepted blood donors were 166.2 ± 43.8 and 179 ± 66.7, respectively, whereas mean platelet counts of 204.5 ± 51.5 and 229 ± 96.9 were observed in deferred male and female donors, respectively (P < 0.05). The Pct, MPV, and PDW values were not significantly different between the two groups. Conclusions : Although the hematological values presented here are not derived from a large sample with adequate representation from female donors and thus cannot be considered to be reference values for our population, we are probably the first to report on platelet indices in accepted and deferred blood donors in a blood bank setting from India. Our results show that platelet count is inversely related to the Hb level of the donor, which is in agreement with other published studies. We will be presenting comprehensive data after further analysis of the hematological values. Solanki A., Agarwal P., Chaudhary R.K.
Sanjay Gandhi Post-Graduate Institute of Medical Sciences, Lucknow, India. Introduction : Although for most blood donors the process of blood donation is simple and without complications, adverse reactions do occur sometimes. In India, the increasing demand for blood components requires that blood centers maintain a safe and adequate blood supply. Donor safety is an essential prerequisite for voluntary blood donation. To minimize the adverse reactions, it is important to recognize the early symptoms and the propensity of a prospective donor to have a reaction. Aims and Objectives : 1) To find out the prevalence of adverse donor reactions and injuries during whole-blood and apheresis donations and 2) to study the various factors affecting donor reactions. Materials and Methods : One hundred consecutive reactions were studied in medically fit whole-blood and apheresis donors (voluntary and replacement) coming to the blood center during the period from January to April 2009. Results : One hundred adverse reactions were reported in 5109 donations (2%). Eighty-six donors (1.8%) were for whole blood (88% males and 12% females) and 14 donors (13%) were for plateletpheresis (86% male and 14 % females). Hematoma was the most common adverse effect (20%). Out of 86 whole-blood donors who had adverse reactions, 78% were first-time donors and 47% were below the age of 25 years. Six percent reactions were grade III VVR, with muscle twitching and loss of consciousness; 87% and 7% were grade I and grade II VVR, respectively. About 12% of reactions were reported in donors who had had inadequate sleep. The plateletpheresis donors who had reactions were all first-time donors and 80−90% of the donors experienced citrate effects (e.g., perioral paraesthesia etc.). Eighty-six percent of the reactions were grade I VVR, 7% were grade II, and 7% grade III. Conclusion : First-time donation, young age, and inadequate sleep were risk factors for developing adverse reactions. No life-threatening adverse reactions were reported. Apollo Hospital, New Delhi, India. Background : Myasthenia gravis is the most common primary disorder of neuromuscular transmission and is usually caused by an acquired immunological abnormality. The patients have loss of muscle power, which can sometimes be life threatening. Treatment modalities include administration of anticholinesterase drugs, corticosteroids, immunosuppressive drugs, thymectomy, therapeutic plasma exchange (TPE), intravenous immunoglobulin (IVIg), and various combinations of these therapies. Aims and Objectives : To find out and compare the effectiveness of IVIg treatment and TPE at Apollo Hospital, New Delhi. Materials and Methods : A total of 60 patients (35 males and 25 females) with a provisional diagnosis of myasthenia gravis, admitted from 1st January 2007 till date, were retrospectively analyzed. Nineteen patients were treated with TPE of approximately 1-1.5 times the patient's plasma volume on a Haemonetics cell separator (MCS+/ MCS-3p), using fresh frozen plasma (FFP) and normal saline as replacement fluid. The case files of all these patients were scrutinized and the treatment modalities were compared. The duration of illness, clinical features, need for assisted/mechanical ventilation, duration of hospital stay, and the number of therapeutic plasma exchanges performed were analyzed. Results : Twenty-four of the 60 myasthenia patients (40%) improved clinically on anticholinesterase drugs alone. The other 36 patients (60%) underwent thymectomy followed by medications (anticholinesterase and corticosteroids). Twelve of these patients improved their muscle power, recovered clinically, and were discharged. Six of the remaining 24 patients (average age: 45.6 years) were readmitted with myasthenic crisis or impending myasthenic crisis and were put on TPE as the next treatment modality; all six responded to the treatment. Eighteen patients were given IVIg therapy after they showed nonresponsiveness to steroids and/or immunosuppressive drugs. Five of these patients were relatively young (average age: 23.6 years) and recovered completely with IVIg treatment. Thirteen patients did not show substantial improvement and had to be supplemented with TPE. Ten of these patients (average age: 46.1 years) responded to the treatment, while three succumbed to the disease process. Conclusion : TPE is the better option as the second-line treatment modality in older patients not responsive to thymectomy and medications. TPE resulted in less hospital stay and decrease in overall expense of treatment. Introduction : Blood donation is a behavioral phenomenon and is considered a humanitarian act. The decision to donate blood is motivated by a host of factors, including altruism, social behavior, social pressure and replacement of blood for patients. Aims : The present study was undertaken in the Department of Transfusion Medicine, Indraprastha Apollo Hospital, New Delhi, from 1 st January 2008 to 31 st June 2009, to assess the reasons for any reluctance to donate blood on the part of the employees of our hospital. Materials and Methods : Hospital employees were interviewed to evaluate health and attitude toward blood donation. The responses obtained were segregated according to age, blood group, and donation status, and a list of eligible donors was prepared. These donors were invited for voluntary blood donation and their responses were noted. Results : A total of 1854 employees were interviewed: 559 (30.15%) males and 1294 (69.8%) females. Of these, 861 (46.5%) employees were eligible for blood donation and 993 (53.5%) were not eligible. Among the 861 eligible donors, 246 (28.6%) employees donated blood in response to our call; 74 (30.1%) donated blood at least once and 172 (69.9%) more than once. Six hundred and fifteen (71.43%) eligible employees did not donate blood. Among these, 385 (62.6%) employees could not be contacted, 84 (13.65%) said they would be donating soon, 78 (12.7%) employees refused to donate blood, and 34 (5.5%) said they were busy with other work. The last donation was less than 3 months ago for 34 (5.5%) employees. Among the noneligible donors, 588 (59.3%) were deferred because of low hemoglobin and 270 (27.2%) because of underweight. Among the low hemoglobin group, 125 (21.25%) had hemoglobin between 12 g/dl and 12.5 g/dl and 463 (78.7%) had hemoglobin levels less than 12 g/dl. Conclusion : Individuals who are motivated to donate blood once are easily converted into regular repeat voluntary donors. A reduction of the lower limit of hemoglobin concentration required for blood donation from 12.5 g/dl to 12 g/dl can reduce the number of donors deferred due to low hemoglobin by about 20%. Ramesh Kumar N.R., Shanmugam S.
Life Line Blood Bank and Research Center, Tirunelveli, Tamil Nadu, India. Background : Iron deficiency is the commonest cause of anemia worldwide. Healthy blood donors are estimated to lose about 175−225 mg of iron with each donation. Aims and Objectives : The objective of this study was to determine the serum ferritin levels among first-time and regular male blood donors and to correlate the serum ferritin levels with the number of donations and hemoglobin levels. Materials and Methods : Hemoglobin levels and serum ferritin were measured in four groups of donors; the groups were as follows: group I (one blood donation/year), group II (twice/year), group III (thrice/year), and group IV (four times/year). The mean hemoglobin levels in groups I, II, III, and IV were 13.99 ± 1.12, 13.78 ± 1.0, 14.01 ± 1.44, and 13.76 ± 1.14, respectively. The difference in hemoglobin levels was not statistically significant. The serum ferritin level was found to be significantly lower among the regular donors; i.e., group IV had a mean serum ferritin level of 52.0 ± 19.78 ng/ml, which was significantly lower than that seen in group I (129.7 ± 36.66), group II (112.62 ± 34.89), and group III (77.12 ± 26.12). The serum ferritin levels decrease with increase in the number of donations. There was significant correlation between frequency of donations and serum ferritin levels. This data suggests that blood banks must check serum ferritin level in addition to hemoglobin level in all regular donors and provide advice about iron supplementation accordingly. This is an important responsibility of blood banks towards these very valuable persons. Thrombotic thrombocytopenic purpura (TTP) is characterized by microangiopathic hemolytic anemia and thrombocytopenia, accompanied by microvascular thrombosis, which causes variable degrees of tissue ischemia and infarction. Patients may also have multiple other symptoms and signs, including neurologic and renal abnormalities and fever. We describe a case of TTP in which complete remission was achieved using therapeutic plasma exchange (TPE) and steroids. A 53-year-old woman presented with fever and loose stools at a private hospital and was treated with antibiotics. Two days later she developed left-sided hemiparesis with altered sensorium. Imaging of brain showed an infarct in the caudate lobe. On evaluation, she showed features of microangiopathic autoimmune hemolytic anemia (MAHA) with thrombocytopenia but a normal coagulation profile. The results of the blood tests done at admission were as follows: hemoglobin (Hb): 7.1 g/dl, white blood cells (WBC) 8,680/ìl, platelet (PLT) count: 10,000/ìl, reticulocytes: 10.9%, and serum LDH (lactate dehydrogenase): 2,655 IU/l. The diagnosis of TTP was considered and she was started on daily plasma exchanges and prednisolone 40 mg/daily. All procedures were done using a Baxter 3000-Plus machine. In each procedure, 1-1.5 times the plasma of the patient was exchanged using fresh frozen plasma. In view of the anemia, five units of PRBC (packed red blood cells) were transfused during the procedures. Ionized calcium levels were monitored before and after the procedure and a continuous drip of calcium gluconate was given to prevent any hypocalcemia-related complications. The patient received a total of 12 procedures. The platelet count started to increase after the 10 th cycle of plasma exchange, with peripheral smear becoming free of schistocytes. The patient's hemogram, platelet count, and serum LDH were monitored for 6 days after the last plasma exchange procedure. Her platelet count remained > 150 × 10 3 /µl, serum LDH was within normal limits, and no schistocytes were visible in the peripheral blood smear. The patient was discharged with advice to have regular follow-up of platelet count. Swathandran Hamsavardhini, Sangeetha, Deepa Devi S., Arumugam P.
Objective : To evaluate the motivational factors behind blood donation and to analyze the prospects for recruiting and retaining voluntary blood donors. Methods : A total of 357 voluntary blood donors were included for this study from May 2009-July 2009. Study details were explained to the donors and, after obtaining their willingness to participate in this study, an oral interview was conducted regarding intention and motives for voluntary blood donation. The interviews were recorded and analyzed. Results : Of the 357 voluntary blood donors, 330 were male (92.43%) and 27 were female (7.57%). Two hundred and forty-nine (69.75%) donors were in the age-group of 18−30 years and 83 (23.25%) donors were in the age-group of 31-40 years. The majority (35.85%) were first-time donors, while 19.89% were regular donors. From the interview we found that the commonest reasons given for donating blood were 'intention of saving a life' (41.74%) and 'feeling of self-satisfaction' (20%). We also observed that those donors who had been motivated at a young age tended to become regular donors and have a positive attitude towards blood donation. Conclusion : A large proportion of young adults have a favorable attitude toward becoming regular blood donors. The most common motivational factor for donating blood is to 'save life.' The possibility of a donor becoming a regular blood donor is more likely with motivation given at a young age. To conclude, special efforts must be made to motivate the young to donate blood; this will ultimately help us to achieve 100% voluntary non-remunerated blood donation and provide blood banks with a constant supply of safe blood. St. John's Medical College Hospital, Bangalore, India. Background : Achieving optimum platelet yield in platelet pheresis procedures is crucial if the procedure is to be cost-effective while, at the same time, providing maximum therapeutic benefit to the patient. Automated apheresis procedures facilitate tailoring of collection parameters based on the hematological profile of the donor. Aim : To evaluate the donor and procedure variables that affect the platelet yield in single-donor platelet pheresis procedures and methods by which the procedure may be optimized. Method : Three hundred and sixty platelet pheresis procedures performed on a COBE Spectra cell separator were reviewed. The relationship between predonation donor variables, procedure parameters, and yield of platelets were studied using the Pearson correlation coefficient. Results : The donor variables that were found to affect the yield of platelet product included platelet count of the donor, height and weight of the donor, blood volume, and donor hematocrit. The variables related to the procedure include the collection time, inlet volume, and anticoagulant infusion. There was a significant correlation between predicted yield, actual yield, and CCM. In the present study, a platelet yield of ≥ 6 × 10 11 platelets was achieved only in 8% of the procedures; thus, only in these cases could split product be obtained in order to achieve clinical and economic advantage for the patient. By making small increments in the processing time, the AC infusion rate, and the AC ratio, double yield collections could have been achieved in at least 30% of the procedures with optimum efficiency. Conclusion : Collection parameters can be appropriately tailored in automated apheresis procedures based on the donor profile to achieve optimum platelet yield. Platelet yields were primarily related to the biologic contribution (baseline platelet count and blood volume) of the donor. Procedure parameters selected for harvest and the efficiency of the device also had a significant, though less important, role in determining the final platelet yield. Task Force Bacterial Contamination, Sanquin Blood Supply Foundation, Amsterdam. Background : Bacterial screening for platelet concentrates (PC) is mandatory in the Netherlands since October 2001. During 2002 and 2003, a pilot study with diversion of the first blood volume during collection of whole-blood units was performed. By the new collection system no major problems were met with in practice and a reduction of 50% initial positive cultures was shown for PC prepared from five pooled buffy coats. Based on these results, diversion became mandatory nationwide in the Netherlands, starting July 1, 2004. The results for the screening of PC before and after introduction of the diversion are evaluated in this study. Methods : After July 1, 2004, in the Netherlands, all whole-blood donations as well as apheresis donations have to be performed with a blood collection system equipped with a diversion pouch to collect the first 20-30 ml for subsequent testing. After preparation of PC from five pooled buffy coats, aerobic and anaerobic bottles are inoculated with 7.5 ml PC each and cultured for 7 days in the BacT/ALERT culture system (BioMerieux). Positive cultures were subcultured for confirmation and identification of the microorganisms. Results : In the period before implementation of diversion, a total of 127,979 PC units were tested and there were 1154 initial positive signals (0.90%). After implementation of diversion, more than 290,000 PC units were tested, with 1286 initial positive signals (0.44%). The percentage of initial positive units was comparable to the value obtained in the pilot study with 6749 units. As a result of the intervention there was significant reduction of both the frequency of coagulase-negative staphylococci (0.27% to 0.13%) and of diphtheroid rods (0.42% to 0.18%). The frequency of Bacillus species and gram-negative bacteria showed a negative trend. Conclusions : Bacterial screening was successfully implemented in 2001 and was followed by implementation of diversion during the summer of 2004. The expected result of at least 50% reduction of the bacterial contamination of PC was also achieved when using the diversion system on a large scale, i.e., for all collections in the Netherlands. Department of Blood Transfusion and Immunohematology, Armed Forces Medical College, Pune, India. Background : Platelet concentrate (PC) contaminated with bacteria is particularly susceptible to sustainable microbial growth. PCs must be stored aerobically at room temperature (22 ± 2°C) to preserve its viability and hemostatic functions, and these conditions facilitate the rapid growth of many species of bacteria. Consequently, septic reactions and occasional fatalities linked to the transfusion of bacterially contaminated PCs continue to occur. Accurate statistics are difficult to determine because platelet transfusion transmitted infections (TTIs) are likely to be underreported due to the often delayed onset of symptoms after transfusion. Sepsis may also be erroneously attributed to other causes, especially in immune compromised individuals or in patients with neutropenia. Although, the source of the contaminant is not easy to identify, it is generally accepted that normal skin flora at the phlebotomy site, unrecognized asymptomatic donor bacteremia, contaminated blood collection equipment, and contamination during blood processing are the likely sources of bacterial contamination in PCs. The exact prevalence of bacterial contamination of blood products is unknown because the hemo-vigilance system is not present in all countries, bacterial contamination screening is not universally applied, varied methods are used for bacterial detection in different studies, and different definitions of positivity are used. Aims and Objectives : The goal of present study is to evaluate bacterial contamination of random donor platelets (RDP) and to determine the incidence and significance of this contamination. Materials and Methods : A total of 3285 random donor platelets from healthy voluntary blood donors were selected after they fulfilled the mandatory criteria as per the gazette notification by the Government of India. The storage time of the PCs studied ranged from the day of donation (day 0) to the fifth day of storage (day 5), depending on the availability on the shelf. The RDP cultures were initially performed with bottles containing brain heart infusion (BHI) growth medium and cultures were incubated aerobically at 37°C for up to 7 days, with subculture onto blood agar in case growth was noticed. Results : Out of 3285 platelet samples of all random donor samples taken, only three samples were culture positive on BHI medium. Two samples showed growth on day 2; among the organisms isolated, one was a micrococcus and the other was a diphtheroid. Only one sample showed growth on day 1; this was a contaminant and not of any clinical significance. Conclusion : The rate of confirmed bacterial contamination of PC units was low (approximately 0.09%). Nevertheless, clinicians must be aware of this risk. The risk of bacterial contamination does not warrant universal preference of apheresis PCs. It is questionable whether routine bacterial screening by a culture method is sufficient to prevent contaminated products from being transfused as the culture system takes time to show a positive result and also because there are false-negative results. Nucleic acid testing − can it replace serological tests? Krishnamoorthy R., Panicker V.K., Febe R.S., Alexander S., Ravikumar M.
Sri Ramachandra Medical College and Research Institute, Sri Ramachandra University, Porur, Chennai, India. Introduction : Nucleic acid testing (NAT) of blood donor samples helps in detecting occult infections and, by shortening the window period, can prevent transfusion transmissible infections (TTI). Aims and Objectives : To study the correlation between serology and NAT for HBV, HCV, and HIV on blood donor samples and to estimate the yield obtained by NAT. Methodology : This study was conducted at the Sri Ramachandra Blood Bank, Sri Ramachandra Medical College and Research Institute, Sri Ramachandra University, Porur, Chennai, during the period January 2009-June 2009. In addition to the mandatory TTI screening tests, which include screening for HBsAg, anti-HCV, and anti-HIV 1 and 2 by ELISA, all blood donor samples were subjected to core antibody testing (aHBc ELISA) and individual donor NAT (ID-NAT) for HBV, HCV, and HIV. NAT was done using the Procleix Ultrio Assay, which is based on the transcription-mediated amplification (TMA) technology. Samples that were reactive by the Ultrio assay were subjected to a discriminatory assay. Results : The HBV yield by NAT was two in 4821 samples tested (0.04%). The yields for HCV or HIV were nil. Three (4.4%) of the HBsAg ELISA-positive samples were nonreactive by NAT. One case of anti-HCV-ELISA-positive sample was nonreactive by NAT. The aHBc ELISA positivity rate was 8%. Conclusion : Replacement of serologic tests with NAT assays is unlikely. NAT assays have on occasion failed to detect viral sequences in people who were truly infected with HCV. Even ID-NAT may not be able to detect all infectious donations because of sampling restrictions. Detection of very low viral concentrations may not be possible even with single-copy detection sensitivity. NAT can serve as an additional test to enhance blood safety and can supplement serological testing of blood donor samples. Department of Immunohematology and Blood Transfusion, Indira Gandhi Medical College Shimla, India. Background : Despite mandatory screening of donor blood for HBsAg, transfusion-associated hepatitis B continues to be a major problem in India. The prevalence of HBsAg among the blood donor population, as reported in earlier studies, is about 1.4%. Safe blood, free from the risk of transfusion-transmitted infections, remains the ultimate goal for blood transfusion services. Aim : The present retrospective study was undertaken to find out the prevalence and trend of HBsAg in voluntary non-remunerated blood donors in the blood center of Indira Gandhi Medical College, Shimla (Himachal Pradesh). Materials and Methods : The donor data of all the voluntary non-remunerated blood donors attending the voluntary blood donation camps between 1 st January 2006 and 31 st December 2008 was analyzed for the presence of HBsAg. Other voluntary blood donors, donating blood for their family members, were not included to ensure that only voluntary non-remunerated blood donors were included in the study. The donors were screened by the rapid card test kits available commercially and approved by DCGI/NACO for use in the blood banks. The result of the study indicates that the prevalence of HBsAg in voluntary blood donors in Himachal Pradesh is almost static, with no significant rise or decline. Conclusion : The prevalence of HBsAg in voluntary donors in Himachal Pradesh is low (0.5%) as compared to the national prevalence (1.4%). The low prevalence and static trend is due to stringent criteria for donor screening and predonation counseling by an expert blood bank counselor. The minor variations in the trends may be due the fact that the majority of voluntary donors are first-time donors and the regular repeat voluntary blood donors are few in number. We suggest that more emphasis should be given to motivation of voluntary donors for repeat and regular blood donations to ensure a safe, adequate, and regular supply of blood. Department of Transfusion Medicine, The Tamil Nadu Dr MGR Medical University, Guindy, Chennai, India. Background : Hepatitis B virus (HBV) may be present in serum even when the blood is negative for HBV surface antigen (HBsAg). Occult HBV in blood donors poses a potential risk for transmission of HBV infection. The aim of this study was to determine the prevalence of hepatitis B core antibody (anti-HBc) positivity in voluntary blood donors. Materials and Methods : Sera from 91 volunteer blood donors were collected and screened for HBsAg and anti-HBc by using ELISA. Results : HBsAg was present in 2% of the donors and 10% were positive for anti-HBc, while 1% were positive for both anti-HBc and HBsAg. Conclusion : If routine screening of sera for anti-HBc is not done, low-level HBV viremia may be missed. To find out the prevalence of occult HBV infection further testing with polymerase chain reaction (PCR) for HBV DNA should be done. The absence of HBsAg in the blood of apparently healthy individuals may not be sufficient to guarantee lack of circulating HBV, and blood containing anti-HBc alone should be considered infectious until proven otherwise. Rema Menon, Marimuthu K., Gethziyal D.
Infection with hepatitis B virus (HBV) is the leading cause of chronic hepatitis worldwide. People with chronic hepatitis B infection are at increased risk for developing liver cancer (hepatocellular carcinoma). In addition, the HBV is the leading cause of cirrhosis in the world. Detection of HBV infection among blood donors is very important to reduce post-transfusion HBV-induced liver disease. This study was undertaken to compare the sensitivity of the detection of HBV infection of two highly sensitive methods-nucleic acid test (NAT), which is based on the detection of hepatitis B viral nucleic acid, and enhanced chemiluminescence assay, which based on the detection of hepatitis B surface antigen along with anti-HBcore antibody. Upadhyay J.K., Wesley R., Elhence P., Das S.S., Katharia R., Chaudhry R.K.
Background : Blood safety remains an issue of major concern in transfusion medicine. An increasing trend of positivity of HIV and hepatitis markers among blood donors has been observed. Moreover, coinfections such as HBV with HCV, hepatitis with HIV, and HIV with syphilis are frequent among blood donors globally and transmission may be fatal for the recipients. Aims : To investigate the prevalence among blood donors of coinfection with some combination of the following four transfusion transmitted infections (TTIs): HIV, HCV, HBV, and syphilis. We analyzed the findings with regard to type of donation and age of the donor. Materials and Methods : A retrospective study was done in the Department of Transfusion Medicine, Sanjay Gandhi Post-Graduate Institute of Medical Science, Lucknow, from January 2008 to December 2008. All donors were selected as per the recommended criteria of the Drug and Cosmetic Act of India. For all donors TTI markers such as HIV, HBsAg, and HCV were tested by ELISA, and syphilis was tested for by the latex agglutination test following the departmental SOP. Results : A total of 21,405 blood donors were selected for whole-blood donation and, of them, 93% and 7% were replacement and voluntary blood donors, respectively. A total of 815 (3.8%) donors were positive for one or more TTI markers. Positivity rates were less in voluntary blood donors compared to replacement donors (1.3% vs 4.1%). Coinfection was observed in 11 donors (1.4%): four HBsAg + VDRL, two HIV + VDRL, one HIV + HCV, two HIV + HBsAg, and two HBsAg + HCV. Conclusion : There is a need for an effective blood donor screening program, and greater emphasis should be placed on the recruitment and retention of voluntary donors. Transfusion transmitted infections, with a reported incidence rate in India of 0.5-5%, are one of the major problems faced by every blood bank. The growing pandemic of HIV, HCV, and HBV has a grave impact on disability-adjusted life years (DALY) and economy alike. Blood banks must take all steps for prevention of transmission through blood products. This can be ensured by sensitive screening. Thus, by early detection, we were able to save six exposures. Thus getting reactive results is very significant. This blood bank distributes about 60,000 units of components yearly and any false positive result will bring dangerous consequences. The results show that we are on the right path. Thus, we find ourselves justified in pioneering NAT in Rajasthan. Background : Hepatitis B is one of the transfusion transmissible infections. The prevalence of this infection varies with the geographical location. Knowing the trend in seroprevalence is useful for implementing preventive strategies. Aim : To determine the seroprevalence of hepatitis B in costal Karnataka. We also plan to observe the trend over a 3-year period. Methodology : The study was conducted at a blood bank of a tertiary care hospital that predominantly serves the people of coastal Karnataka. A retrospective analysis of blood donors over a period of 3 years was done to assess the seroprevalence and the trend of hepatitis B infection. ELISA was used to detect HBsAg in the donors as a marker of infection. Results : A total of 30,428 blood donors were studied, and 189 (0.62%) were positive. Thus this region can be classified as a 'low prevalence (<2%) zone' as per the WHO criteria. A decreasing trend over 3 years was seen. Replacement donors and male blood donors showed higher seropositivity compared to voluntary donors and female donors. The Chi-square test was used to calculate the significance of the differences between groups. Conclusion : The prevalence of hepatitis B infection in blood donors in coastal Karnataka is low and a decreasing trend could be identified over the last 3 years. Director, National Institute of Immunohematology, KEM Hospital, Parel, Mumbai, India. Today transfusion medicine is not only a subject, but it is an institution by itself, with many dimensions. Management science, inventory evaluation, cryopreservation, social networking, infection prevention, tailor-made product development, preparative apheresis, therapeutic apheresis, stem cell isolation, preservation, and banking are some of its core areas of operation. Human resource development is also one of the facets of this ever-growing subject. However, we must not forget that transfusion medicine was born when Karl Landsteiner, more than a century ago, mixed one individual's serum with another individual's red cells and showed the then strange phenomenon of red cell agglutination. Utilizing this pattern recognition as a simple but still widely used technology he was able to group human RBC into A, B, AB, and O types giving birth to the ABO grouping system. In short, the lying-in room for transfusion medicine was immunohematology, and Karl-Landsteiner the immunologist was the midwife who delivered the baby. Injection of red cells into laboratory animals to develop antisera that could be used to detect new antigens (MNS system). Isolation of new antisera from multitransfused patients or patients who developed transfusion reactions. Development of immunohematological techniques to screen and detect new antibodies, e.g., antiglobulin test, agglutination test with enzyme-treated red cells, checkerboard titration. Hemolytic disease of the newborn (HDN) provided transfusion medicine experts with an insight into the natural process of isoimmunization and has been one of the major mechanisms to enhance understanding of red cell antigens and aid discovery of clinically important new ones. This disease also opened up a vast area of Rh antigen discovery and research into HDN prevention. Rh-HDN prevention by administration of anti-Rh antibody was also partly due to the extraordinary insight of immunohematologists who showed that Rh incompatibility is largely protected in ABO-incompatible pregnancies. During the course of immunohematologist's quest to find reasons for the strange phenomenon of polyaggultinability that happened in a subset of patients with sepsis, leukemia, and MDS, many new cryptic red cell antigens (Th, Tn, Tk) were discovered and in the effort to develop easily obtainable reagents for polyagglutinability, the large field of lectin biology was born. The phenomenon of acquired B antigen development due to action of bacterial glycosidase on red cell membrane was demonstrated and this paved the way for the present concept of converting of one ABO blood type to another. Dr Bird of AFMC, Pune, and Dr Bhatia and his students from my institute have made seminal contributions in the field of lectin research as it pertains to blood banking. Understanding the inheritance pattern of red cell antigens opened up a vast area of forensic science also. Detecting so-called incomplete antibodies (specially for Rh) using 22% bovine albumin or other potentiating agents was proving to be less than optimal and was finally largely abandoned in favor of antiglobin testing, popularly known as the Coomb's test. This was one of the seminal and lasting immunohematological contributions to blood banking. Even today, in the era of molecular biology, can we think of transfusion medicine without red cell agglutination tests and the direct and indirect Coomb's tests? As our knowledge advanced, we also became impatient, and waiting 1-1 1 / 2 h for the result of an indirect antiglobin reaction increasingly appeared bothersome to us. Hence we asked the immunohematologists to help, and they came up with LISS, LISS-PEG, LISS-protamine techniques. Some of these techniques are used extensively today. Even for the detection of infection in blood and blood products, immunohematologists initiated the process with various passive red cell hemagglutination techniques; this is now being taken over by 'NAT testing' molecular biologists. Finally, I would like to draw your attention to a single patient and an observant immunohematologist. In the early 1950s, an immunohematologist in Mumbai observed that an apparent O group patient's sera was agglutinating all O group red cells. This group was termed as Oh (Bombay phenotype). How the discovery of the Bombay phenotype was instrumental in facilitating understanding of the biochemistry of ABO antigens is now a part of the history of transfusion medicine but it also brings to focus the subject of today's talk that immunohematology is the backbone of transfusion medicine. In the coming years, transfusion medicine will change much more, but the core of the subject will always be immunohematology. Background : Short shelf-life does not allow any blood bank to maintain stocks of rare group. Detection of seven Bombay phenotype cases provoked us to try emergency rare group panels. Materials and Methods : Monoclonal A, B, D, and H lectin antisera (Tulip) and A1, B, and O pooled cells from healthy donors were used to test blood and saliva. Results : Propositus I from Yerukala (scheduled tribe) community reported as a donor in 2005. It took us 4 years of persuasion to get his consent for confirmatory tests. He had a family history of consanguineous marriages. His wife was O positive and both children were B positive, with weak expression of H antigen and no anti-H antibodies. His 9-year-old daughter had Fallot tetralogy and growth retardation; his 6-tear-old son was normal. The remaining six individuals belong to one family tree. Propositus II, referred for post PPH transfusion, turned out to be Bombay phenotype, nonsecretor. The family study revealed traditional marriages within their Padmasali community. Propositus II had a consanguineous marriage. The propositus's siblings and family members (except two) were also tested. We could trace evidence of Bombay phenotype on the maternal side. Anti-H titer was 1:32 in 6 cases and 1:16 in propositus II. Both family trees are portrayed below. Serological reactions revealed absence of H antigen and presence of anti-H antibodies in all cases. All adults were non-secretors, while children could not be tested. By Mendel variant formula, in the first case, both parents were O positive and the children B positive, showing epistasis. The first offspring had associated Fallot tetralogy and retarded growth. Similarly, in the second family, the father was AB positive, the mother O positive, and the children were Bombay phenotype, again showing epistasis. Conclusion : Routine serum grouping with 'O' cells and testing of cells with anti-H for all 'O' group individuals is recommended. Genetic and molecular testing should be undertaken if feasible. The adults are being motivated to become donors. Prathama Blood Center, Ahmedabad, India; ENH Blood Center, Chicago, USA; and Blood Center of Wisconsin, Milwaukee, USA. Background : Life-long repeated red blood transfusion remains the main treatment for â thalassemia major patients. The development of alloantibodies complicates transfusion therapy in thalassemia patients. Alloimmunization to red cell antigens is one of the most important immunological transfusion reactions and causes delayed type of transfusion reaction. Materials and Methods : A prospective study was conducted from January 2007 to January 2009. A cohort of 115 patients were selected from the regular transfusion group and they were followed for 1 1 / 2 years for the effect of transfusion during the study period. There was a decline in the patient numbers from 115 to 96 due to mortality and transfer of patients. Thus, a total of 96 multiply transfused thalassemia patients were prospectively included in this study. Three consecutive samples were collected from each patient every 6 months and investigated for the development of alloantibody to red cell antigens. For sample collection, 5-7 ml of blood was collected in a plain tube and serum was separated. Separated serum was taken in two aliquots, labeled properly, and stored in two different boxes at −30°C in a deep freezer till the antibody screening and identification was performed. Tests for antibody screening and identification were performed to investigate the prevalence and development of red cell alloimmunization. All samples were tested at Prathama Blood Center by the same person, using standardized laboratory techniques. Antibody screening was carried out on serum using the commercial three-cell panel and following standardized blood bank techniques. If patients were found to have an irregular red cell alloantibody, then antibody identification was performed using the commercial 11-cell panel. Thalassemia patients receiving regular transfusion from Prathama Blood Center, Ahmedabad; Jeevandeep Hospital, Ahmedabad; and the Red Cross Blood Center, Ahmedabad, were included in this study and investigated for the development of alloantibodies. Results : A total of 96 patients were included in the study; 63 were males and 33 females. At the beginning of study, the ages of the subjects ranged from 9 months to 30 years (mean age was 10.60 years). A total of five single alloantibodies were formed in five patients. Out of them, four (80%) belonged to the Kell blood group system and one (20%) to the Rh system. It was observed that two (1.92%) of the new thalassemia patients developed red cell alloantibodies during the study period. Out of the five, two patients developed antibody in the 2 nd and 3 rd samples. The remaining three patients had pre-existing antibody (i.e., before inclusion in the study). The ages of the five patients who developed red cell alloantibody was 4, 9, 12.7, 13, and 18 years. The amount of blood transfused ranged from 5 to 800 units. Conclusion : The possibility of red cell alloimmunization should be kept in mind in patients receiving multiple transfusions. In the present study, the alloimmunization rate was 5.21%. The mean transfusion duration in these patients was 23.90 days, probably due to the presence of alloantibody. RBC alloantibody detection on regular interval and antibody-negative blood transfusion is strongly recommended in transfusion-dependent thalassemia patients. Agnihotri N., Vijapur S., Chitikeshi S.
Aditya Birla Memorial Hospital, Chinchwad, Pune, Maharashtra, India. Background : With the introduction of modern, more potent, anti-D reagents, most red cells that would previously have been classified as weak D would not now be considered as having an abnormal D by routine testing. However, the distinction between this category and partial D is often not clear. Moreover, definition of weak D has often depended on the anti-D reagents and techniques used, so it is difficult to provide the actual frequencies for either weak D or partial D phenotypes. Aim : To study the incidence of variant D (either weak D or partial D and not categorizing as normal D on serological typing) in donor and patient population. Materials and Methods : In our center all donor and patient samples are tested for ABO and Rh (D) using conventional tube technique. Rh (D) typing is done using two different anti-D reagents, one of which is a blend of IgG and IgM. All samples showing agglutination grade of < 2 with either (or both) of anti-D were further evaluated for reaction with one other available anti-D and tested in AHG phase (gel card) using IgG anti-D. Clear-cut Rh (D) negative samples (with all anti-D and AHG phase testing) were excluded from the study. No efforts were made to differentiate them as weak D or partial D.
Results : A total of 16,380 samples were tested (7480 donor and 8900 patient) over a period of 1 1 / 2 years. Fourteen samples (five donor and nine patient samples) conformed to the above classification of variant D (i.e., < 2 positive with anti-D in saline phase and/or positive in AHG phase of testing), giving an incidence of 0.09% (0.07% in donors and 0.10% in patients) in our population. Out of these, there were four samples that were picked up only in the AHG phase of testing (incidence of 0.02%). All the 14 individuals had either been never typed or had been invariably typed as Rh (D) negative previously. All of them were counseled about their Rh (D) type, and a special report was given where they were mentioned as Rh (D) positive as donor and negative as recipients of blood/organ. Conclusion : This study confirms the low incidence of variant D in our population and stresses the need to identify individuals with variant D (rather than weak or partial D) and to inform them about their status as donor and recipient of blood/organ. Mathan A., Asha D., Amalraj P., Rajaiah M., Chacko M.P., Nair S.C., Daniel D.
Department of Transfusion Medicine and Immunohematology, Christian Medical College, Vellore, Tamil Nadu, India. Background : It is important to detect red cell antibodies resulting from sensitization prior to transfusion as these antibodies can complicate transfusion therapy. Following up on earlier work, we compare identification of red cell antibodies by indigenous panels with that by commercially available cell panels. Aim : To compare the efficacy of red cell antibody identification by in-house vs commercial cell panels and to study its relevance in pretransfusion testing in India. Materials and Methods : Two thousand and fifty random samples that were sent for pretransfusion compatibility testing in a tertiary care hospital were screened for red cell antibodies by a commercially available 3-cell panel and an in-house panel prepared with native cells. Crossmatch was performed on all samples up to the Coomb's phase by both the tube technique and the gel technique. Results : Of the 2050 samples, 2003 samples showed a negative antibody screen on both cell panels. A positive antibody screen was present in 47 (2.29%) recipients; 44 were positive with the in-house panel and four with the commercial cell panel. Only one of the 47 recipients was positive on both cell panels. Forty-one out of the 47 antibody screen−positive recipients were compatible on Coomb's crossmatch. Incompatible crossmatches were noted in eight recipients who were positive on the in-house screen. Another two recipients were Coomb's incompatible but negative on both cell screens. Conclusion : The in-house cell panel appears to be more effective in detecting red cell antibodies in patients. However, further studies are needed to establish the clinical significance of these antibodies. Coomb's incompatibility in recipients with a negative antibody screen needs to be explored further. Antibody screening needs to be introduced as part of pretransfusion testing. Febe R.S., Krishnamoorthy R., Panicker V.K, Suneetha C.
SRMC and RI, Sri Ramachandra University, Chennai, India. Introduction : Anti Kidd-b (Jkb) is a rare immune antibody that causes hemolytic transfusion reactions. A rare case with this antibody is reported here. Case Report : A 43-year-old female was admitted at Sri Ramachandra Medical College Hospital with splenomegaly, jaundice, and ascites. She had history of hypothyroidism and hemolytic anemia. She was managed with diuretics and supportive measures. Antibiotics, steroids, and other supportive measures were started as she developed respiratory infections, esophageal variceal bleed, and hypotension. Her sensorium deteriorated and her relatives had her discharged from hospital against medical advice. Investigations : The blood picture showed macrocytosis, with nucleated RBCs, microspherocytes, and neutrophilic leukocytosis. She had low hemoglobin, prolonged PT, PTT, and APTT, high INR, elevated bilirubin, low albumin, normal serum cortisol and ferritin, and negative antinuclear antibody. USG showed fatty liver, with splenomegaly and ascites. Results : Immunohematology workup was carried out. There was discrepancy between ABO forward and reverse grouping results. The patient's blood group was labeled as ? B positive until the discrepancy was resolved. Direct Coomb's test was negative. Antibody screen was positive. Antibody identification using an 11-cell panel showed anti-Jkb specificity. Conclusion : The possibility of an autoimmune disorder affecting the RBCs, liver, and adrenal gland was ruled out by negative DCT and ANA and normal serum cortisol. The hemolytic anemia-like blood picture may have been immune mediated or due to splenic sequestration. Anti-Jkb is an immune antibody known to cause hemolytic transfusion reactions. It is possible that this was the cause for the hemolytic anemia. Further workup was not possible as the patient was not willing. Verma S.K., Verma A., Chaudhary R.K.
Department of Transfusion Medicine, SGPGIMS, Lucknow, India. Background : The Rh blood group system is the most polymorphic of the human blood groups and, next to ABO, is the most clinically significant blood group systems in transfusion medicine. Weak D is characterized serologically as such RBCs fail to agglutinate directly with anti-D typing reagents and require the use of indirect antiglobulin test for detection. A very weak form of D, i.e., Del, is a rare variant of the Rh system. In this form, the D antigen is detectable only by antibody adsorption and elution. The prevalence of Del in a North Indian population is being reported for the first time. Aim : To determine the prevalence, the phenotypes, and probable genotypes of weak D and Del in Rh-negative donors. Methods : A total of 21,135 blood donor samples were analyzed for the presence or absence of Rh (D) antigen and Du and Del in Rh-negative donors, using commercially available antisera and following departmental SOPs. Result : The frequency of weak D positivity among Rh (D)-negative blood donors was 0.79% in our donor population. The majority (75%) of weak D-positive donors were of the rr phenotype. The frequency of Del in Rh (D)-negative North Indian blood donors was 0.19%. We found two Del phenotypes: one was rr and another r r; no Del was found in r r, r r, and r r phenotypes. Conclusion : The transfusion of weak D red cells into an Rh D-immunized subject can result in a hemolytic transfusion reaction. Only scarce information is available on the potential of the Del phenotype to induce alloanti-D in D-negative subjects. This may simply reflect a low immunogenicity of Del compared to normal D. Further molecular and serological studies are required on this subject, using large sample sizes and weak variants of the Rh system. Department of Transfusion Medicine, SGPGIMS, Raibareilly Road, Lucknow (UP), India. Introduction : The most important immune cause of hemolytic disease of newborn (HDN) in terms of severity of effect is the presence of anti-D antibodies in Rh (D)-negative mothers. Management of such cases requires both antenatal and postnatal evaluation. Materials and Methods : A prospective serological evaluation of 180 neonates with pathological hyperbilirubinemia for immune HDN was done by direct antiglobin test (DAT) using the gel technology. Further serological evaluation was done for immunoglobulin class, subclass, and titer. Antibody screening and identification was done in mothers of affected neonates. Antenatal and obstetric history was taken to find out the reason for such occurrence. Results : Nine cases (5.0%) were DAT positive and all were attributable to Rh-isoimmunization due to anti-D; the antibody identified was IgG. Subclasses were IgG1 + IgG3 in five (55.6%) cases and only IgG1 in the remaining four (44.4%) cases. The titer of anti-D antibody was found to be significant (>16) in all nine mothers' sera. No anti-D immunoprophylaxis had been given to the mothers in previous pregnancies. Conclusion : In India, despite the availability of Rh (D) immunoglobulin, Rh (D) HDN remains a major cause of neonatal hemolytic jaundice/anemia. The main cause is lack of knowledge and lack of facilities for diagnosis. Availability of the gel technology has made serological evaluation easier and more objective. Following blood grouping and antibody screening protocols in pregnant females can prevent immune HDN. Pahuja S., Pujani M., Jain M., Gupta S.
Department of Blood Bank, Lady Hardinge Medical College, New Delhi, India. Introduction : The development of anti-red cell antibodies is one of the major hurdles in transfusion therapy of thalassemics. These antibodies may result in clinically significant hemolytic transfusion reactions, difficulty in crossmatching blood, decrease in RBC survival, and an increased transfusion requirement. There is a controversy regarding approaches for prevention or treatment of alloimmunization as only a few alloantibodies are clinically significant. Materials and Methods : This cross-sectional study was conducted at Regional Blood Transfusion Center, Lady Hardinge Medical College and the associated Kalawati Saran Childrens' hospital (KSCH) and Shrimati Sucheta Kriplani hospital (SSKH) to assess the incidence of allo- and autoimmunization in multitransfused thalassemic children. A total of 211 thalassemic children registered with the Thalassemia Center, KSCH, were evaluated from June 2008 to April 2009 for the presence of antibodies in their serum using the 3-cell and, subsequently, the 11-cell panel (DiaMed ID Microtyping System). Results : Among the total of 211 multiply transfused thalassemic patients, there were 128 males and 83 females. The ages of the children ranged from 6 months to 28 years (mean age: 10.40 years). The mean age at the initiation of transfusion therapy was 10 months (range: 3-42 months). The transfusion interval ranged from 10 days to 45 days. Out of the total 211 thalassemics, eight (3.94%) had undergone splenectomy. Red cell alloantibodies were found in five patients (2.37%) and one patient (0.47%) developed autoantibodies. Of the eight patients without spleens, two (25%) became alloimmunized; out of the 203 patients with spleens, three (1.5%) became alloimmunized. The patient who developed autoantibodies had undergone a prior splenectomy. Discussion : We found an alloimmunization rate of 2.37%. In comparison, Jolly et al. found an alloimmunization rate of 15.5% among the 251 thalassemics included in their study. Singer et al. found a much higher rate of alloimmunization (22%), which was attributed to the heterogeneity of their study population. Standard transfusion guidelines and protocols should be mandated to ensure adequate blood safety and to minimize the risk of alloimmunization for these multitransfused recipients. Employees' State Insurance Corporation, Basaidarapur, India. Hemolytic disease of fetus and newborn is very rare in a first pregnancy. We recently came across one such case. Case Report : We received a sample for DAT of a newborn baby with diagnosis of 'borderline term pregnancy, gestational diabetic mother on insulin, Rh incompatibility with anemia and neonatal jaundice.' The DAT was positive by gel, and the blood group was AB positive. The mother was a primigravida; her blood group was AB negative. She had taken treatment for threatened abortion due to bleeding per vaginum for a day in the first trimester, followed by occasional bleeding 2−3 times during the course of the pregnancy. There was no history of blood transfusion. IAT done twice during pregnancy was negative. Anti-D was given after delivery but not during antenatal visits. Mother's testing on the 6 th postdelivery day was antibody screen positive. The 11-cell panel for identification of antibody showed four cells positive and seven cells negative. This reaction pattern is consistent with anti-D antibody. Discussion : Mothers may exhibit alloimmunization to antigens on fetal cells and the fetus may be affected by maternal antibodies provoked by previous pregnancies, transfusions, or during the ongoing pregnancy. Even very small leaks of fetal red cells can cause an anamnestic response in the mother. Primary sensitization in this case might have occurred during the first trimester bleed. Multiple small bleeds later in the course of pregnancy could have resulted in a secondary response. Diagnosis was not suspected earlier because of the negative IAT and the fact that she was a primigravida. We all need to think about and answer this. Department of Transfusion Medicine, AIIMS, New Delhi, 1 Department of Hematology, AIIMS, New Delhi, India. Introduction : Recognition and resolution of ABO discrepancies is essential for providing appropriate blood for transfusion. Patients with leukemia pose a special challenge as they often have altered expression of ABO antigens. Flow cytometry and molecular typing are great tools to resolve such discrepancies but are expensive and may not be available everywhere. This case aims to create awareness regarding these discrepancies and the importance of past history in such cases. We outline one of the serological approaches to such discrepancies in resource-poor settings. Case : A 24-year-old male presented at the Hematology Department of All India Institute of Medical Sciences with intermittent high fever, body pain, gum bleeds, and weakness. After examination and investigations, a diagnosis of acute leukemia was made. As the patient was anemic, packed red cells were requisitioned from the blood bank. On blood grouping, a discrepancy was observed between forward and reverse grouping. The patient typed O on forward grouping, whereas on reverse grouping the patient typed AB, i.e., no antigens or antibodies were detected. As the blood was requisitioned in an emergency, the patient was transfused two units of O positive packed cells. The transfusion was uneventful. Further investigation was done using adsorption-elution and saliva testing; both tests showed the presence of A and B antigens. When a directed history was taken, one of the attendants of the patient recalled that the patient had been transfused AB positive blood 2 years earlier. Discussion : This case represents a challenge that may be faced in pretransfusion testing. There is little awareness among clinicians regarding alterations in the ABO blood group in patients of leukemia, particularly myeloid leukemia. In most cases, the alterations are subtle and are not detected on serological testing. According to some reports, gross alterations in A and B expression is associated with poor prognosis. The cause of decreased expression of ABO antigens on the red cell is alteration in the genes directing the A- or B- glycosyltransferase enzymes, leading to decreased activity of the enzymes and, consequently, reduced amounts of ABO antigens. Mary P.C., Shanthi R., Palle A., Daniel D.
Department of Transfusion Medicine and Immunohematology, Christian Medical College, Vellore, India. Background : A positive CDC crossmatch is generally regarded as a contraindication for renal transplantation. However, it is also crucial to distinguish IgM antibodies from IgG, as the former, especially if they are autoantibodies, are frequently harmless and should not be considered contraindicative. A simple modification of the CDC crossmatch using DTT-treated serum can be used to distinguish IgM from IgG antibodies. Many newer screening platforms, including the Luminex microsphere-based assay, are specific for IgG anti-HLA antibodies and therefore give negative results if IgG is absent, even in the presence of IgM. Also, being more sensitive, they may detect IgG, which is not detectable by CDC. Aims : 1) To categorize sensitized patients using the DTT crossmatch, 2) To compare results obtained using DTT with those obtained using DSA assay on the Luminex platform, and 3) to review post-transplant outcomes in patients detected to have IgM alone on the DTT crossmatch. Materials and Methods : All patients who had a positive CDC crossmatch and consequently had a DTT crossmatch performed between April 2007 and June 2009 were included in the study. They were categorized based on the DTT crossmatch results. The evolution of positivity was studied through serial crossmatches. Available DSA results were compared for discrepancies. Post-transplant patients were followed up for antibody-mediated rejection. Results : Thirty-four sensitized patients were included in the study; 13 showed IgG alloantibodies, seven showed IgM alloantibodies, ten showed IgM autoantibodies, and four showed IgG alloantibodies with coexistent IgM autoantibody. DSA was performed on 16 patients, 10 of whom gave comparable results on corresponding DTT crossmatches. Six discrepant results were recorded. In three of these CDC/DTT showed IgG but Luminex showed negative results. In three other cases, CDC/DTT failed to show the IgG demonstrated on Luminex. Sixteen of the sensitized patients were transplanted in our center. Nine patients had IgM antibody detected by CDC on the final pretransplant crossmatch. None of the patients developed vascular rejection. Conclusion : It is crucial to distinguish IgM from IgG in sensitized patients as those with the former can be safely transplanted. The DTT crossmatch provides reasonable correlation with the more sensitive and specific Luminex crossmatch and, besides, is advantageous in its simplicity. Introduction : The discovery of the blood group antigens marked the revolutionizing step in the history of blood transfusions. Following the discovery of ABO antigens by Landsteiner in 1901, the next most important discovery was that of Rh antigens in 1939 by Landsteiner and Weiner and, later, the description of hemolytic disease of newborn by Levine and Stetson. Of these antigens, D, which decides Rh positivity or negativity, is the most antigenic. A problem is encountered when an individual has a weakened expression of D (Du), i.e., fewer number of D antigens on the red cell membrane. Material and Methods : Rh grouping of 1,84,072 donors who came to The Department of Transfusion Medicine of Indraprastha Apollo Hospital, New Delhi, from 1 st January 1999 to 31 st December 2008 was done using the tube technique. The samples that tested negative for D antigen were further analyzed for weak D (Du) by antiglobulin testing. Results : The total number of donors studied was 1,84,072 (1,73,244 males, 10,828 females). Out of the studied donors, 13,253 (7.19%) tested Rh D negative. Among the Rh D negative donors, 12,473 were males (94.11%) and 780 (5.88%) were females. All the Rh D negative donors were tested for weak D (Du); 16 (0.12%) turned out to be weak D (Du) positive. All of these weak D (Du) positive donors were males (100%). Conclusion : The prevalence of Rh D negativity in our setting is estimated to be about 7.19%. Out of these Rh D negative donors, 0.12% were weak D (Du) positive. So it can be concluded that the risk of alloimmunization in our setting due to weak D (Du) antigen is marginal. Background : Patients with thalassemia major, being multitransfused, are liable to have multiple alloantibodies in their sera. These alloantibodies not only interfere with pretransfusion compatibility testing but, if clinically significant, they may also adversely affect the response to transfusion. Aim : To detect alloantibodies in multitransfused thalassemia patients and to compare the results by conventional tube and gel methods. Materials and Methods : A prospective study was performed in 50 serum samples of thalassemia major patients. Alloantibody screening was performed using conventional tube method and the gel method. All the 50 samples were screened for antibodies using 3-cell panels (DiaMed). The samples showing positive results using antibody screening were tested for identification of antibody using 11-cell panels (DiaMed). Results : The antibody screening by tube technique showed negative results in all 50 samples tested. The gel card technique performed on the same samples showed a positive result in 1 sample by antibody screening test using 3-cell panels; the remaining 49 samples were negative. The positive sample was further subjected to the 11-cell panel test, which showed presence of anti E. The incidence of red cell alloantibodies is 2% in our sample. Conclusion : High incidence of alloimmunization in multitransfused patients warrants the use of antibody screening and identification as a part of pretransfusion compatibility testing. In this study, the gel card method could identify alloantibody in one of the samples missed by conventional tube technique, which is proof of its technological superiority. Department of Transfusion Medicine, The Tamil Nadu Dr MGR Medical University, Chennai, Tamil Nadu. Background : Among a total of 29 human blood group systems and over 600 different blood group antigens discovered so far, ABO and Rh are the most important. Knowledge of ABO and Rh D antigen and their distribution is essential for effective management of a blood transfusion service. Aim : To describe the ABO and Rh blood group system distribution in our donor population. Materials and Methods : The study was conducted in the department of transfusion medicine, The TN Dr MGR Medical University, Chennai. The distribution of ABO and Rh blood group was studied among 10,299 donors over period of 5 years (2003-2008). The study included voluntary blood donors who had donated blood either at our blood bank or at camps organized by us. Results : Out of 10,229 voluntary blood donors, the most common blood group was found to be group O (n = 3813; 37.02%) followed by group B (n = 3410; 33.1%) and group A (n = 2295; 22.28%) The least common group detected was AB (n = 781; 7.5%). The Rh antigen [Rh (D)] was found to be positive in 9798 (95.13%) donors and negative in 501 (4.86%). Conclusion : The commonest blood group detected in the study was group O, followed by group B and group A. The least common blood group was AB. Rh D was positive in 95.13% and negative in 4.8%. Introduction : Anti-M is fairly common and is thought mostly to be naturally occurring because it is frequently found in children who have never received a blood transfusion. Anti-M is detected frequently in human sera, usually as a saline agglutinin in tests performed at room temperature. Case Report : An 11-year-old boy was admitted for surgery of a soft tissue sarcoma. Cell grouping was A positive. Serum grouping showed positive results with all three reagent red cells (A cells, B cells, and O cells). The results were the same with the gel card test also. Antibody screening at room teperature, Coomb's phase, and 4°C was positive. With antibody identification panel the suspected antibody was anti-M (with dosage effect) reactive at room temperature, 4°C, and Coomb's phase. A1 and O cells treated with papain enzyme gave negative reaction, as papain destroys the M antigen. This further indicated the presence of anti-M reacting at room temperature, cold, and 37°C. Conclusion : Anti-M may show a dosage effect as in this case, reacting more strongly with homozygous cells than heterozygous cells. If a crossmatch is carried out between recipient and donor and donor RBC carries M antigen in a heterozygous dose, the AHG crossmatch may be compatible, but there will be a hemolytic transfusion reaction. So, M antigen−negative crossmatch-compatible red cells should be given if the antibody is active at 37°C. The present study identifies a rare case of non-red-cells-stimulated anti-M, reactive at room temperature, 4°C, and Coomb's phase. This could have been of potential significance. Background : Traditionally, the CDC crossmatch has played a decisive role in antibody screening. In recent times, newer platforms with improved sensitivity have emerged. However, the clinical significance of antibody detection by these methodologies in the absence of a positive CDC crossmatch is uncertain.. Our center introduced the ELISA LATM (One Lambda Inc.) assay in October 2007 as an adjunct to the CDC crossmatch. The ELISA (LATM) is a virtual antibody screen that specifically detects antibodies to HLA class I and II antigens. Unlike CDC, it is not donor specific. Aim : To define the role of ELISA LATM (One Lambda Inc.) screen in detecting antibodies of clinical significance pretransplant in a live related renal transplant. Materials and Methods : Pretransplant sera from 200 consecutive patients who had had transplant were tested on the ELISA platform. The ELISA LATM assay tests the patient's sera against pooled immobilized class I and II antigens, using enzyme-conjugated anti-human IgG and a colorimetric substrate for signaling. The reaction is read on a microplate reader (ELX800 NB). Result : ELISA screen test was done on 200 patients' samples and 49 showed positivity. Of these 200 patients, 182 had no historical positive CDC documented, while 18 had historical CDC crossmatch due to IgM antibody at transplant. None of the 49 patients with a positive ELISA screen showed evidence of antibody-mediated hyperacute rejection. Conclusion : A positive ELISA screen for antibodies does not seem to be predictive of a hyperacute rejection episode. However post-transplant monitoring of the same is vital to see if it plays a role in predicting later graft rejection. The significance of anti-HLA antibodies detected in pretransplant sera of recipients by ELISA and donor-specific antibody testing on the Luminex platform on graft outcome: a retrospective study of 162 post-renal transplant patients. Background : Pretransplant anti-HLA antibodies have an effect on renal transplant outcome. The standard method used is the complement-dependent cytotoxicity (CDC) method. More recently, ELISA and the flow-based bead assay (DSA) on the Luminex-based platforms, which are known to be far more sensitive, have become available. However the clinical significance of the antibodies detected on these more sensitive platforms is uncertain and has varied from study to study. Aim : To assess the effect of anti-HLA antibodies detected on the ELISA platform, and donor-specific antibodies detected using donor lysate on the Luminex platform on graft outcome. Materials and Methods : One hundred and sixty-two renal transplant recipients with a negative CDC crossmatch pretransplant were included in the study. ELISA screen for anti-HLA antibodies was performed using the One Lambda kit for all 162 patients. Donor lysate was available for only 75 patients, and DSA was performed on the Luminex platform. Pretransplant sera was used for both ELISA and DSA. Clinical, biochemical, and biopsy-proven evidence of graft failure were the outcome measures looked for. The period of follow-up ranged from 6 to 18 months. Results : ELISA for anti-HLA antibodies was done on 162 patients; 27 patients (16.6%) showed a positive ELISA screen. Seven of the 27 (25.9%) ELISA-positive patients showed evidence of rejection. Seventy-five patients had DSA on the Luminex performed, of which 22 (29.3%) were positive. Five of the 22 (22.7%) DSA-positive patients showed evidence of rejection. ELISA and DSA were both positive in 5 of 75 patients. None of these 5 showed evidence of rejection. Conclusions : DSA and ELISA screens are sensitive platforms to detect anti-HLA antibodies. About 25% of positive results appear to correlate with subsequent rejection episodes within this 6−18 month time frame. However, there appears to be no correlation between combined ELISA and DSA positivity and graft outcome. Larger patient numbers need to be analyzed for more definite conclusions to be drawn. Das S.S., Agarwal P., Chaudhary R.K.
Department of Transfusion Medicine, SGPGIMS, Lucknow, UP, India. Background : Resource-poor laboratories in developing countries can adapt the simple, rapid, and low-cost gel technology (GAT) to estimate fetomaternal hemorrhage (FMH). We present our experience of developing the technique in the department and its utility in the detection and measurement of FMH. Methods : Stock solutions (n = 17) of seven serial dilutions, containing appropriate concentrations of both fetal Rh D-positive and adult Rh D-negative cells were prepared. Both Kleihauer-Betke technique (KBT) and GAT were performed on all samples. Results : The efficiency of the GAT was more appreciable when fetal cell contamination was 0.25%. An indigenous calibration curve was developed using known serial concentrations of fetal Rh D-positive and maternal Rh D-negative RBCs; this determines the volume of FMH by depicting the agglutination reaction against a particular anti-D dilution. Conclusions : All resource-poor transfusion services can easily adapt GAT without extra cost and introduce it as a screening method for FMH despite its limitations to quantify FMH at lower volumes. Background : Hemolytic disease of the newborn (HDN) is a condition in which fetal red cells are destroyed due to development of antibodies by the mother and their transplacental transfer. We report a case of HDN due to development of anti-Jk b in a multigravida woman. Case Report : A 25-year-old woman with a bad obstetrical history (with gravida 7, para 0, two intrauterine deaths, and four missed abortions) delivered a female baby at 37 weeks of gestation. There was no history of blood transfusion in the mother. The present pregnancy was uneventful. At birth, the total serum bilirubin (TSB) of the newborn was 13.7 mg/dl and the packed cell volume (PCV) was 50%; these values rose to 18.1 mg/dl and 64%, respectively, over the next 24 h. Hemoglobin was 18.7 g/dl, with a reticulocyte count of 10%. G6PD screening showed normal activity. The newborn was treated with phototherapy for 2 days, with clinical improvement and reduction in TSB to 13 mg/dl at day 2 and 11 mg/dl on day 4 of life. The blood group of the mother was O Rh (D) positive. ABO Rh typing of the baby was O Rh (D) positive. The direct antiglobulin test (DAT) on the newborn's RBCs was strongly positive (4+) with polyspecific anti-human globulin, both on tube and gel testing. Testing the mother's serum against screening red cells and an identification panel confirmed the presence of anti-Jk b , with titers of 1:4 by the gel and 1:2 by the tube method. Extended phenotype of maternal, paternal, and the newborn's RBCs was D+C+c−E−e−Jk a+b− ; D+C+c−E−e+, Jk a−b+ ; and D+C+c−E-e+, Jk a+b+ . DAT performed on the neonate's RBCs with monospecific anti−human globulin sera was positive with both anti-IgG and anti-C 3 d. Eluates obtained from the neonate's red cells using gentle heat method revealed anti-Jk b . Conclusion : This shows that the Kidd blood group system is a clinically important cause of HDN. Lewis antibodies are naturally occurring IgM that are generally clinically insignificant. There are a few case reports where naturally occurring warm-reacting IgM Le a antibodies have caused hemolytic transfusion reaction (HTR). We report two cases of acute HTR caused by IgM Le a alloantibodies. Case 1 : An 18-year-old male with rheumatic heart disease (RHD) was admitted for aortic valve replacement. He had no previous history of blood transfusion. The patient's blood group was O Rh (D) positive. Four units of fresh packed RBCs were cross-matched and transfused peroperatively. These transfusions were uneventful. On the 12 th postoperative day, a large retrosternal hematoma was detected and an emergency thoracotomy was planned. One unit of O Rh-positive blood was cross-matched and released in emergency by immediate spin saline technique. After transfusion of 25 ml blood, the patient complained of flank pain, developed fever with chills and rigors, became hypotensive, and passed cola-colored urine. Pre- and post-transfusion patient samples and the concerned blood unit typing was reconfirmed to be O Rh-positive; DAT was negative. Antibody screen of pre- and post-transfusion samples at the second surgery showed alloantibody(s) suggestive of E, M, or Le a , with maximum reactivity at 37°C and AHG phase. The 11-cell identification panel confirmed anti-Le a . The implicated unit causing HTR was Le (a+þ−), whereas the patient was Le (a−b−). Case-2: A 25-year-old case of RHD was admitted for mitral valve replacement. The patient's blood group on forward grouping was A Rh (D) positive and on reverse grouping showed reaction with A, B, and O cells with the tube technique. An antibody screen using a 3-cell panel (DiaMed AG, Switzerland) showed the possibility of anti-C and Le a , with maximum reactivity at 37°C and AHG phase. The 11-cell identification panel confirmed anti-Le a . There was no history of previous transfusion in this patient. The patient was typed as Le (a−b−). Four units of Le a -negative PRBC were cross-matched for this patient and transfused uneventfully. This case highlights the importance of the various steps in pretransfusion testing for providing compatible blood for the patient. At the recommended dose of irradiation, mild hyperkalemia due to accelerated potassium leakage from red cells is the only side effect. Increase in K + levels are likely to be noted within a few hours of transfusion in patients, but potassium levels measured after 24 h are normal. The effect of hyperkalemia should be considered when transfusing irradiated blood in the setting of intrauterine transfusions, neonatal exchange-transfusions, neonatal cardiac surgery, and massive transfusion. The effect is of little consequence to adult recipients or recipients of platelets only. Hence, we conclude that irradiation 'on demand' poses importance for all transfusion center. It is preferable to irradiate the blood just before transfusion if the irradiator is in-house; otherwise a time gap of only 24 h must be made mandatory. Sahyadri Specialty Hospital is one of the regional blood transfusion centers in Pune city catering blood to storage center and also to other Sahyadri Hospital branches at different locations in Pune. The ultimate aim is to transfuse safe and quality blood to all patients. The maintenance of quality is up to the mark, but for safety the blood has to reach the patient by maintaining a rigorous cold chain system protocol. Many different methods have been tried for this, using ice/ice packs expensive portable refrigerator with temperature monitor not affordable by all, but still there is worry one cannot control the unpredicted change of temperature as temperature abuse is through complete, accurate and reliable monitoring. We also need to consider the time taken to reach the destination, which may affect the quality of blood and its derivatives, e.g., there may be bacterial contamination or red cell hemolysis which can put the patient at risk. Door-step blood delivery from the mother blood bank to the patient till the completion of transfusion. Distances may vary from 7 km to 28 km (with atmospheric temperature 35-40°C). Covering this distance is likely to take more than an hour depending on the traffic. The temperature of blood in these cases needs to be +2°C to +6°C for issued blood. No change in Trans Tracker™ F color if the blood unit is transported within a temperature limit of < 10°C. Change in Trans Tracker™ H darkening of the central part from camp to department or visa versa. With the above procedure, if we issue the unit of PCV/WB with the indicator, we can guarantee the quality and safety of our blood to patients and FDA officials, instead of claiming that once the blood is issued, the responsibility of the blood bank ends. Sonkar A., Dubey A., Chaudhary R.K.
Background and Objectives : Contaminating white blood cells (WBCs) in stored platelet concentrates (PC) are the main source of biological response modifiers − including interleukin-6 (IL-6), interleukin-8 (IL-8), and tumor necrosis factor-á (TNF-á) − that are implicated in transfusion reactions. The availability of leukoreduction techniques for blood components is associated with a considerable improvement in various clinical outcomes. We estimated the release of the biological response modifiers during storage of random platelet product (RDP) in relation to pre-storage leukocytes filtration vs post-storage leukocyte filtration. Methods : Thirty units of pooled RDPs were divided into two groups. One group was filtered on the same day of component preparation. Another was kept unfiltered. Samples from both the groups were taken on days 0, 3, and 5 and were tested for residual leukocyte count and IL-8. Results : The median WBC counts in pooled unfiltered BC-PC was 1.4 × 10 9 /l and 0.9 × 10 9 /l on day 0 and day 5, respectively, while in pooled pre-storage filtered BC-PC it was 0.04 × 10 9 /l and 0.02 × 10 9 /l on day zero and day 5, respectively. The median IL-8 level in pooled unfiltered BC-PC increased from 10 pg/ml on day 0 to 346.5 pg/ml on day 5. We also estimated complement activation (SC5b-9) and IL-8 (in filtered samples) and these results will be presented later. Interpretation and Conclusions : Our study showed that WBC content is the critical factor in determining the IL-8 cytokine levels in stored PCs. The degree of leukocyte contamination may be the critical factor that influences cytokine levels in stored PCs. Selective pre-storage leukocyte filtration could be the method of choice in developing counties. Saranya Narayan, Kavita S., Meganathan, Srinivasan P.
Jeevan Stem Cell Bank (a unit of Jeevan Blood Bank and Research Center), Royapettah, Chennai, India. Objective : To share our experiences in processing the first hundred cord blood donations using an automated closed system, the Sepax S-100. Materials and Methods : Cord blood was collected after obtaining informed consent from the mother and completing registration formalities before the onset of labor. The completed forms were reviewed by the medical officer to confirm eligibility for cord blood donation. Internationally accepted guidelines were used to ascertain maternal suitability. The donor, hospital, and the attending obstetrician were given detailed information on procedures to be followed with regard to collection of the sample and its transport back to the center for processing. Samples collected outside Chennai reached the center in 24-48 h. All cord blood bags were transported in validated temperature-controlled containers. Cord blood was collected by trained medical/paramedical personnel in 150-ml bags manufactured by Terumo Penpol Ltd. Collection was either in utero (95%) or ex utero (5%), depending on the obstetrician's preference. The stem cells were harvested using an automated closed system − the Sepax S-100 from BioSafe. The cord blood and maternal samples were screened as per the guidelines laid down by the NetCord and FACT (Foundation for Accreditation of Cellular Therapy) standards. Flow cytometry was performed with the FACS Calibur from Becton Dickinson using the ISHAGE protocol, and viability was determined using 7AAD. Observations : Significant findings are shown in [Table 1]. Conclusions : a) The Sepax S-100 system is an efficient, user-friendly, closed, and automated system with the lowest risk of contamination; b) according to published data, the quality of the final product obtained appears to be superior to that obtained with manual open methods of processing cord blood in terms of viability, recovery, and counts; c) the automated system ensured considerably less hands-on time for the technical staff; d) the bar code reading capability and the facility to obtain printouts of the data is consistent with GMP manufacturing standard. Introduction : WHO recommends that the ratio of the use of blood components and whole blood should be 90:10 since only a limited category of clinical interventions require whole blood. Data from the countries of the South-East Asia region show that nearly 78% of the blood collected is used as whole blood and only 22% is converted into components. In India, 80% of blood is used as whole blood and only 20% is utilized as components. Aim : The present retrospective study covered a period of 3 1 / 2 years and sought to find out the percentage of blood component preparation. Materials and Methods : The component preparation data over the period of 3 1 / 2 years was analyzed to find out the total number of blood components prepared out of the total number of blood units collected from January 2006 to June 2009 in the blood center of the tertiary care hospital of IG Medical College, Shimla. Results : In the year 2006, out of 6686 whole-blood units collected, 280 units (4.18%) were subjected to blood component preparation. In the year 2007, out of 7250 units of blood collected, 554 units (7.64%) were subjected to blood component preparation. In the year 2008, out of 7958 units of blood collected, 922 units (11.5%) were subjected to blood component preparation. In the year 2009, out of 4312 blood units collected until 30 th June 2009, 745 units (17.27%) were subjected to blood component preparation. This indicates that the percentage of component preparation is rising every year. Conclusion : The present study shows that there is a continuing rise in the trend for component preparation and utilization every year. This is possibly because of the regular awareness and training programs conducted for clinicians by the blood transfusion faculty. However, the percentage of the blood units subjected to component preparation is far less than the WHO recommendations. This must be rectified by holding regular CMEs and seminars to explain the advantages of the use of blood components. Background : Pooling of whole-blood-derived platelets is not commonly practiced in India. Currently available data shows that pooled platelets are equivalent in quality and less expensive when compared with apheresis platelets. Aim : To evaluate the feasibility, safety, and efficacy of the platelet pooling procedure using the Acrodose PLus system. Materials and Methods : Standardization of the platelet pooling procedure was done. A sterile docking device was used to maintain a closed system. Pools of ABO compatible platelets (n = 40) as well as ABO incompatible (n = 10) pooled platelets were studied. ABO antibody titers were studied before and after pooling in case of ABO-incompatible platelet pools. Corrected count increments (CCI) (at 1 h and 24 h) were noted after transfusion of pooled platelets and apheresis platelets in matched patient groups. Results : Loss of platelet product due to pooling and leucodepletion was not statistically significant (P < 0.001). Leucodepletion >3 log was achieved in all pooled platelets. The total platelet content, time taken for the procedure, and the pH were within acceptable limits. There were no issues related to platelet availability and turn-around time during the study period. There was a reduction in the ABO antibody titers after pooling in the ABO-incompatible pools. None of the pooled platelets showed evidence of bacterial contamination on testing with eBDS system at 18 h and 24 h intervals. CCI with pooled platelets was equivalent to that with apheresis platelets at 1 h (P = 0.36) and 24 h (P = 0.15). Conclusion : Whole-blood-derived platelets can be pooled safely using a closed system, without altering the platelet quality in vitro or the in vivo survival post transfusion. Pooled platelets can be a cost-effective and safe alternative for thrombocytopenic patients, in whom the number of donor exposures is not a concern. We found that better platelet inventory management was possible due to pooling. Ravikumar M., Krishnamoorthy R., Panicker V.K., Febe R.S., Suneetha C.
Introduction : Blood transfusion carries inherent risks. Transfusion-associated graft vs host disease (TA-GVHD) is a fatal complication of blood transfusion and is an immunologically mediated delayed transfusion reaction. Irradiation alone can prevent TA-GVHD. Aims and Objectives : To enumerate the benefits of transfusing irradiated blood components. Methodology : Cellular blood components can be irradiated using a blood irradiator, with cobalt or cesium as a radioactive source that emits gamma rays. The optimal dosage is 2500 Centigray delivered to the center of the component bag and 1500 Centigray to any other point. Gamma irradiation of blood components will inactivate T-lymphocytes in the donor blood, thus preventing TA-GVHD. One packed red cell bag or one unit of single-donor platelets or five units of random donor platelets can be irradiated at a time. Results : Irradiation of blood components is beneficial in case of blood transfusion in immunocompromised patients like neonates and bone marrow transplant recipients. Some disadvantages of irradiation are that the shelf life of red cells is reduced and there is a chance of increased hemolysis and supernatant potassium release in a red cell bag. Conclusion : Irradiation just before issue of cellular blood components is most beneficial and should be preferred rather than irradiating and storing the blood component. Irradiation should also be carried out in cases of directed donations from close relatives. Introduction : The different methods of platelet preparation leave behind varying numbers of residual leukocytes, which account for most of the febrile nonhemolytic transfusion reactions seen, especially in multitransfused patients. This study was designed to perform serial assessment of cytokines in platelet concentrates and find the correlation between cytokines and leukocyte content of platelet concentrates. Methods : Our study included platelet-rich plasma (PRP-PC) (20) and buffy coat-depleted PCs (BC-PC) (20) prepared from whole-blood donations and single-donor apheresis PC (AP-PC) of which four units each for PRP-PC and BC-PC were pooled and further divided into two as nonleucofiltered (NLF) and leucofiltered (LF) making five pools for each PRP-PC and BC-PC group. Cytokine levels (IL-1â, IL-6, and TNF-á) were measured in the platelet concentrates using commercially available assays on days 0, 3, and 5 of storage. Results : The mean platelet count in PRP-PC (NLF) and PRP-PC (LF) was lower than in BC-PC units in the respective groups (P < 0.05) while AP-PCs had the maximum platelet count (P < 0.001). The WBC contamination was least in BC-PC (LF) and highest in PRP-PC (NLF) (3.4 ± 0.05 × 10 5 vs 6.76 ± 0.61 × 10 8). The IL-1â levels were maximum in PRP-PC (NLF) on day 5 of storage. The IL-6 levels were significantly higher in both nonleucofiltered PRP-PC and BC-PC than in AP-PC. The leucofiltered BC-PC units did not show any IL-6 accumulation, whereas PRP-PC (LF) showed a threefold rise on day 5. The TNF-á levels were significantly higher in PRP-PC (NLF) and in BC-PC (NLF) on day 5, while no accumulation was seen in AP-PC and leucofiltered PCs. PCs with higher leukocyte content had greater cytokine accumulation during storage as compared to lower WBC content (×10 6 ) while below leukocyte content (×10 5 ), cytokines were not detected. Conclusions : AP-PCs are better than PRP-PC and BC-PC, and nonleucofiltered BC-PCs are better than PRP-PC (NLF) in quality. Leucofiltered BC-PCs are better than PRP-PC (LF) and even AP-PC in terms of cytokine accumulation during storage. A critical leukocyte content of < 10 6 is required to reduce the cytokine accumulation. Introduction : Blood substitutes are considered the need of the hour, especially in view of the increasing demand for blood and the inadequate supply. Additionally, with blood substitutes it will also be possible to avoid the risk of transfusion transmitted diseases and transfusion reactions. Discussion : Perfluorocarbons are emulsified in water and can be adjuncted with antibiotics, vitamins, nutrients, and salts to perform vital functions. The size of the individual particles is about 1 /40 th of normal RBCs and they traverse through almost all capillaries.Hemoglobin-based oxygen carriers require cross-linking, polymerization, and encapsulation. The size of these particles is 1/1000th of normal RBCs and they are ß exible and more stable. Hemopure V Bovine Hb in a salt solution and Polyheme - human Hb polymerized in an electrolyte solution. Hemotech V Bovine Hb nullifies toxicity and prolongs shelf life to 180 days. However, Haemospan V Hb with polythethylene glycol is infused as a liquid and ensures optimal oxygen delivery. Dextran Hb. human Hb with dextran. improves half-life and reduces risk of renal toxicity. These are still undergoing phase III clinical trials and are being modified to overcome the risk of renal toxicity and shortcomings such as instability, reduced half-life, release of toxic oxygen radicals, and bacterial growth. Conclusion : The current focus is on developing stem cells, cord blood, dendrimers, and biodegradable micelles to overcome the deficiencies presently associated with these products. Department of Transfusion Medicine, Medical College, Trivandrum, Kerala, India. Introduction : Documents are approved information contained in a written or electronic format. Each transfusion service should develop a practical record-keeping system that serves its needs. This record system should make it possible to trace a unit of blood/ blood product from source to final destination. Confidentiality of donor and patient records must also be ensured. Records should be legible and all corrections must be initialed. Date of performance of procedures or tests and the date of interpretation should be recorded. All records should be maintained for a period of 5 years or for as long as the local law requires. For donor programmes it is preferable to maintain donor records for a longer time. Proper record-keeping constitutes an important part of the quality assurance system and it should cover each and every aspect of transfusion service. Standard operating procedure (SOP) constitutes one of the significant elements of documentation; others are flowcharts, manual worksheets, instrument printouts, tags/labels, manufacturer's package inserts, operator manuals, copies of regulations and standards, various registers used in different laboratories of transfusion service, etc. The aim of ocumentation is 1) to provide evidence that specified standards have been followed in donor selection, blood collection, laboratory aspects, component preparation, issue of blood/blood products, etc; 2) to help trace each donation for any evidence of error and to keep track of the staff involved in the exercise; 3) to ensure that consistency and reliability are applied at each step in blood transfusion service; 4) to provide evidence for the investigation of any alleged products, adverse reactions, or complaints related to donors, transfusion recipients, staff, etc. General requirement of record : Efficient documentation of records needs appropriate design of forms, labels, and registers for each activity of the blood transfusion service. The documents should be clear, simple, and easy to follow and complete. It is important to maintain the records of all the donors, not only of those who donated but also those who have been deferred or rejected; reasons for rejection or deferral should be recorded so that their suitability to donate blood at another time can be checked. The records should be easy to retrieve for reference/review. Records must be stored in a manner that protects them from damage and accidental/unauthorized destruction or modification. A blood bank should link its policies, process, and procedures. A second document, i.e., a process flowchart should describe the sequence of activities in identifying the need for a correction, obtaining any necessary approvals for change, making the correction in computer/on paper or both, and notifying all appropriate parties of the correction. There needs to be a mechanism that controls identification, approval, revision, and archiving of the facility's policies, process descriptions, procedures, and related forms. Records managemen t: Regulations and accreditation requirements mandate the review of records by supervisory personnel and specify the type of records and length of time they are to be stored for future reference. State, local, and facility requirements for record retention periods may also apply. All records may become medicolegal evidence in case of any mishap connected to the blood transfusion service. The records may be destroyed after a specified period only after getting administrative approval. Computerization in transfusion services : Computer systems in blood banks help prevent the potential life-endangering clerical errors that result from the time-consuming and tedious aspects of record keeping. With the introduction of computers in transfusion services there have been improvements in the blood procuring and inventory control processes, which in turn leads to efficient utilization of blood/ blood product and reduces outdating. Records of all transfusions and serological problems can be maintained, and generation of statistical data is made easier. A separate software should be designed for transfusion services. A computer system can link various blood banks at a national level. A national network enables unique identification of all donors at every blood center. A central server should have the capacity to hold a large amount of data. This data should be accessible from [Additional file 3] each blood center. Proper subsystems utilizing optical character reader (OCR), optical donation card, etc., will help in processing the donor data accurately and smoothly. If donor portraits are taken and recorded in the optical donor card, it would be of help for identifying the donor during subsequent visits for donation; this prevents donation by one person in somebody elses name. Donation data should be updated every day to prevent data delay. In case of shortage of particular groups, the donor base can be of use and donors may be selected and contacted for blood donation. Repeat blood donors for platelets are registered with their consent are documented. HLA-compatible donors should be registered with details of their HLA types. Those donors with rare groups should be registered so that they can be of mutual help. Technology for enhanced transfusion safety : Despite the explosive growth in information technology in modern society, health care has lagged behind many other sections in the use of enhanced technology. Many of the mistransfusion events result from carelessness/slip-ups rather than cognitive mistakes. The final bedside check and collection of the patient's sample for pretransfusion testing are key error spots. These are the areas where new technology can help. The basic elements of a bedside check are positive patient identification, matching wristband identification to the blood compatibility label, matching patient identifiers with blood request, and review of compatibility and expiration date information. A pretransfusion check is the last chance to stop a flawed, error-prone process from harming the patient. In this scenario, we should think of introduction of a bar-coding system, blood-loc, radio frequency identification tags (RFID), and smart storage or delivery systems, etc. Why are so many registers maintained? Why does the Food and Drug Authority compel meticulous maintenance of records? Is it for consumer protection? Documentation and record keeping is essential and this should not be done out of compulsion or because of fear of legal problems. Record keeping helps us to know the statistics in our area, which in turn help us to plan strategies according to the need. Scientific aspects of record keeping should be followed. The past few decades have seen an exponential growth of and use of new technologies by healthcare providers, particularly in the private sector in India. Unfortunately, this explosive growth has also resulted in the generation of huge quantities of bio-hazardous waste by these institutions, including the blood transfusion services. Even more unfortunately, there has not been a concomitant appreciation of the risks these wastes pose to the community and the environment. To regulate the generation and management of bio-hazardous waste, the Ministry of Environment and Forests has notified the Bio-Medical Waste (Management and Handling) Rules 1998 under the Environment Protection Act, 1986. The 14 rules (amended in 2000) describe the requirements that all establishments that generate and handle bio-hazardous waste have to comply with. In addition, six schedules prescribe categories of waste, color codes for containers, their labels, and standards for treatment and disposal of wastes. This presentation will illustrate how these requirements are being complied with by a hospital transfusion service in Kolkata and how an authorized agency manages such waste on behalf of the Kolkata Municipal Corporation. Blood transfusion can be visualized as a system where a number of processes are involved, starting from selection of donors, through collection of blood, testing, processing, quarantine and availability in the stock, labeling and storage, collection of blood sample from recipients, ordering for blood and, lastly, the transfusion itself. A number of policies, procedures, and people are involved at different points of time at different places to bring these into effect, reflecting the susceptibility of the system to errors. The inherent propensity of blood transfusion to result in immediate and clinically catastrophic consequences due to an error has resulted in the adoption of an approach of 'prevention is better than cure,' much before than in any other area of health care. This is reflected in the stringent requirements for licensing and accreditation, laid down standards, guidelines and SOPs, and concepts like current good manufacturing practices, total quality management, and quality assurance. We know that patient morbidity and mortality due to incompatible blood transfusion or the occasional transfusion transmitted infections do happen, albeit rarely. It is important to realize that such misadventures represent only the tip of the iceberg. A far larger number of events are 'no harm' events, for example, blood meant for one patient may be transfused into another patient, but results in no harm since, by chance, it happened to be compatible. Such events either pass unnoticed or are forgotten after heaving a sigh of relief. Still larger number of errors are 'near-miss' events, where errors are detected just in time to avoid its occurrence; e.g., mismatch of current blood group with the historical blood group (planned recovery) or the patient's attendant pointing out at the time of transfusion that the blood group of the unit chosen for transfusion is different from the patient's blood group (unplanned recovery). The near-misses give us an opportunity to identity the weak links in the transfusion chain, the reasons for the give away (active/human error or latent error) and allow us to develop preventive strategies. The problem lies, however, in the way the errors have been managed in the past. The earlier strategies of 'blame and shame' and 'blame and tame' resulted in hiding of the errors. A 'just culture' which balances accountability with the need for a learning environment is what is required to improve the system. This system acknowledges and does not take disciplinary action for unintended human errors and takes corrective actions for latent errors. 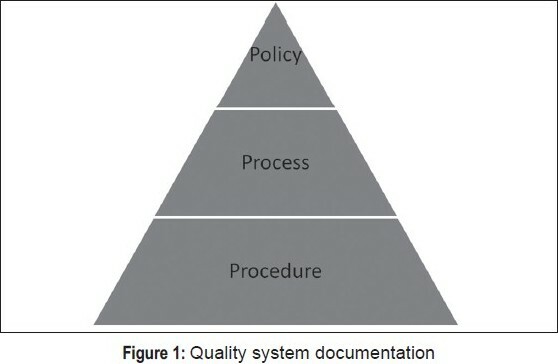 One needs to establish error-reporting systems for uniform classification and logical root cause analysis, creating a 'safety culture;' inter-institutional sharing of strategies must be encouraged to reduce the frequency of errors, regular error-related feedback must be provided to frontline staff, changes must be made where necessary to hospital policies and procedures, and benchmark rates of error must be created as a quality assessment tool. It also gives us an opportunity to see how things are actually working in our organization as opposed to how we think they are working. The aviation, petrochemical, and other industries have established error management systems. One needs to realize that in medicine there is no place for accidents resulting from error as it violates the principle of primum no noncore. Error management in transfusion medicine is the need of the hour. Insception Cord Blood Program, Mississauga, Ontario, Canada. At Insception Cord Blood Program, the quality management system (QMS) is made up of 26 processes and document management is one of these processes. Document management controls all critical information, including quality manual, policies, processes, procedures, contracts, agreements, labels, forms, technical memos, job aids, and records, and thus helps ensure the safety, quality, security, and accessibility of products and services. It consists of six SOPs, 17 forms, and two labels. All SOPs used at Insception consist of eight sections: approval block, purpose, scope, equipment and supplies required, expected range of results, procedure, references, and staff responsible for performing steps and revision history. The main SOP dictates what types of documents are required and how they are maintained. Preparation, including review and approval of controlled documents, is guided by an SOP which also ensures that all documents are standardized and contain only relevant and current information. SOP detailing protocol for issuing, maintaining, and archiving ensures that the controlled documents are available to the staff where the processes and procedures are carried out. It also ensures that obsolete documents are archived. Date standardization SOP ensures that the dates on all critical documents and records are written in the same way to avoid any confusion. Label control requirements SOP details the preparation, review, approval, and control of labels, including archiving obsolete labels, thus ensuring that only current labels are in use. Record management and control process SOP details how timely, accurate, and complete records are prepared, reviewed, approved, used, stored, and disposed off. Thus document management enhances process control and compliance as well as facilitates continuous improvement through a controlled process that includes validation, training, sign off for reading, and understanding and commitment to follow SOPs, document distribution, and maintenance. Sri Ramachandra University, Chennai, India. Introduction : Blood banking involves collection, processing, storage, and issue of blood and/or blood components after compatibility testing. Indicators are necessary to assess the quality of blood bank services. Aim : To assess the quality of blood bank and transfusion service. Methodology: This study was done at Sri Ramachandra Blood Bank, Sri Ramachandra Medical Center, Chennai, during the period July 2008 to June 2009. The following were the quality indicators used for assessment: Transfusion reaction rate, sample rejection rate, donor adverse reaction rate, blood utilization rate, blood wastage rate, donor's feedback, and physician's feedback. The observed data were compared with the benchmark for each quality indicator every month. The benchmarks were the Joint Commission International (JCI) and Tamil Nadu State Aids Control Society (TANSACS) recommendations . Results : We found that our department functioned efficiently as per JCI recommendations; the figures were as follows: Transfusion reaction rate < 0.1%, sample rejection rate 0.08%, donor adverse reaction rate 0.0%, blood utilization rate >95%, and blood wastage rate <5.0%; donor's feedback and physician's feedback shows that our services are very satisfactory. Conclusion : Assessing the performance of any department becomes easier when quality indicators are formulated and observations made every month so that whenever there is a drop in performance, a cause-and-effect analysis can be done to correct the deviation. Aims and Objectives : 1) To check whether the stored fresh frozen plasma (FFP) units were correcting high prothrombin time (PT) of patients by mixing studies, 2) to know the degree of correction obtained in samples with markedly prolonged PT after addition of FFP, and 3) to observe the degree of correction obtained for the prolonged PT results when using differing ratios of patient's plasma to thawed FFP. Establishing correction studies using patient's samples with prolonged PT can serve as an alternative parameter for quality control of FFP units in blood banks. Material and Methods : Fifty-one FFP units prepared and stored at Blood Bank, IRCS, Navsari, from December 2007 to March 2008 were subjected to quality check using 107 patient samples with prolonged PT; these samples were collected from seven clinical laboratories of Navsari. Reagents used for PT tests were Uniplastin, (Tulip Diagnostics) with IS. of 1.05 and Diagnos Thrombo (Biomed Industries) with IS I of 1.0. A coagulometer (HumaClot Junior) based on the electromechanical principle was used for performing correction studies. Observations : Average PT of 107 patient's samples before correction with FFP was 29.04 s. Average PT after correction of these samples after adding thawed FFP was 16.36 s. The average correction obtained was 12.84 s. The highest correction obtained was of 55.1 s.
Inference : Quality check of FFP units can be done using correction studies, mixing patient's samples with prolonged PT results with FFP. This method is cheap, easily available, and technically less demanding as compared to the other assays used to check quality parameters, such as the Factor VIII assay, measurement of fibrinogen levels, stable coagulation factor assays, etc.. Ever since the rapid tests were permitted to be used in blood banks, the question was how to maintain records of the rapid tests done. The concern was how to confirm that the test was done and its result and authentication. Since our blood bank is engaged in apheresis and we were required to do rapid tests in an emergency, I started thinking along the lines of record keeping, i.e., documentation for the rapid tests. We discussed our concern with a diagnostic company, suggesting design of a device which could record the rapid tests and the related data. Soon, we received an instrument with all the required features. It is a digital scanner with a lens mounted on the top. There is a slot provided for pushing the processed rapid test through. The instrument could be connected to a PC through a USB cable. The instrument has the ability to take images of rapid tests done for HIV, HBV, HCV, malaria, and syphilis. A donor's record sheet appears on the screen where all donor-related data, such as name, number, blood group etc., can be filled in. Once the image of a device is taken, it is transferred to the respective slot on the record sheet in a fraction of a second, the status is entered, and this becomes a permanent record. Thousands of such records can be stored. The donor record sheet can be saved as soft copy as well as hard copy. A statistical analysis of all the tests done is possible test wise, or on a yearly, quarterly, or monthly basis. We have been maintaining accurate records since last 18 months using this system. This system avoids the need for storage of processed devices, which could potentially be infectious. In the emerging scenario of growing health care needs and the globalization of services, there is an ever-increasing demand for excellence in services provided. The Government and public therefore demand more openness and accountability from health care providers, who have to establish their worth. Blood transfusion services (BTS) are no exception. A good platform that provides a benchmark of efficiency and quality practices is 'accreditation.' Accreditation is a systematic self-evaluation that is reviewed by impartial, third party peers who assess all the processes and quality systems and finally awards the certification. The system is dynamic and periodically reviewed for continuous improvement before renewal or recertification is recommended. Accreditation gives the BTS provider international and national acceptance and benchmark of quality. Blood transfusion services are now empowered by the standards provided by the Quality Council of India (QCI) in 2006 and National Aids Control Society in 2007, which have added great impetus and value to the process of accreditation by QCI which has developed an exclusive accreditation programme for blood banks. In this presentation, examination of the complex interrelationships of the various regulatory agencies and the voluntary accreditation offered by the QCI is attempted. The journey of the Lion's Blood Bank towards achievement of Total Quality Management as a requirement prior to actual voluntary accreditation is showcased. Dr RML Hospital, New Delhi, India. Background : Inadequate knowledge of transfusion guidelines is the predominant reason for inappropriate transfusion practice. Several interventions have been tried out to improve the knowledge of transfusion guidelines among clinicians, but the results have been variable. This is because decision-making in transfusion practice is a complex procedure. It is the result of the combined effects of knowledge of transfusion guidelines, availability of facilities, organizational factors, level and type of the blood banking service, socioeconomic context in which these services operate, and the cultural/religious beliefs of the blood donors, to name a few. Objective : This study was conducted to identify the reasons for inappropriate blood and component use through concrete case studies and to study problems faced by clinicians in translating guidelines into practice. Methods : Eighty cases of inappropriate blood use, 20 each from elective general surgery, elective gynecological surgery, anemia, and acute blood loss, depending on the pathophysiologic/hemodynamic differences in anemia, were studied retrospectively. This was followed by group discussion with the clinicians. Results : The study showed that the predominant reason for inappropriate use was inadequate knowledge of transfusion guidelines. Use of whole blood instead of packed cells was common practice. In elective surgery, transfusions were given for wound healing and better postoperative recovery. In addition, there were several factors like nonavailability of donors, questionable lab reports, panic associated with acute blood loss, and difficulty in monitoring such cases due to high patient load. Some examples of inappropriate use were as follows: VIP patients were generally transfused liberally; in dengue cases, fear of missing minute hemorrhages, patient anxiety, and panic created by the media, led to over-ordering; in liver disease, FFP was given as a precautionary measure; and plasma was preferred to albumin because of cost constraints. Conclusion : Transfusion decision-making is a complex procedure. The chief concern of the clinician is the well-being of the patient. Though education of clinicians regarding the transfusion guidelines would help to improve practice to a large extent, the problems due the structural, organizational, and socioeconomic factors should also be addressed. Dubey A., Verma A., Pradhan M., Chaudhary R.K.
Background : Hemolytic disease of fetus and newborn (HDFN) is one of the common causes of fetal anemia. HDFN is caused by the destruction of the red blood cells of the fetus and neonate by antibodies produced by the mother and passed transplacently. Ninety-five percent of the cases are caused by antibodies in the mother directed against the Rh (D) antigen. The incidence of the disease caused by anti-D has steadily decreased with the introduction of Rh immunoglobulin. Currently Rh (D) incompatibility is the most common cause of HDFN and therefore the diagnosis and treatment of HDFN caused by anti-D has been the focus of much investigation. Intrauterine blood transfusion (IUT) is one of the major advancements in the treatment of HDFN. Aims : 1.To observe the transfusion outcome in the fetus after IUT for Rh isoimmunization pregnancies at our institution. 2. To find out the incidence of maternal red cell alloimmunization after IUT. Subjects and Methods : From July 2008 to Aug 2009, eight Rh isoimmunized pregnancies were transfused with fresh O negative, leucofiltered, hemoconcentrated, and gamma-irradiated packed RBC units prepared as per the departmental SOP. Serum from all these females was screened for presence of alloantibodies after IUT and identification was done in positive cases. Results : A total of eight Rh-isoimmunized cases having Rh-antibody titer ranging from 16 to 256 received 17 intrauterine blood transfusions (in an aliquots of 50-60 ml). A mean rise of 6 gm/dl in Hb and 19% in Hct was observed. In one case, alloantibodies developed after IUT and were identified to be anti-C and anti Jkb. Conclusion : The transfusion specialist plays a pivotal role in the management of HDFN by preparation of standardized RBC units, the administration of which is an effective way of treating fetal anemia and has also shown significant success in the treatment of HDFN. Shaiji P.S., Sobha Kumar, Abhishekh B., Mayadevi S., Meena D., Usha K.C. Departments of Transfusion Medicine and Pediatrics, Medical College, Trivandrum, India. Background : Thrombocytopenia is common in the NICU setting. Clinically relevant thrombocytopenia requiring platelet transfusion needs special attention since it can be a marker of underlying disease as well as an obvious risk factor for hemorrhage. This study attempts to assess the prevalence and risk factors of thrombocytopenia in the NICU at SAT hospital, Medical College, Trivandrum. The difference in mortality of newborns who received single and multiple platelet transfusions were compared. Methods: A case-control study was conducted on newborns admitted in the NICU from February 2009 to June 2009. Cases (n = 71) were newborns with documented thrombocytopenia who received at least one platelet transfusion. Controls (n = 49) were nonthrombocytopenic newborns admitted at the same period. Risk factors and mortality were compared. Mortality of those who received a single dose of platelet transfusion and those who received ≥2 doses (considered as multitransfused) were compared. Data was analyzed using the chi-square test and calculation of odd's ratio (with 95% CI). We used SPSS v. 14 for the statistical analysis. Result : Of the 1038 admissions in the NICU during the study period, 240 babies (23.12%) developed thrombocytopenia but only 71 (6.84%) needed transfusion. The majority (42/71, 59.15%) received multiple transfusions. The major risk factors identified were sepsis (25 cases) (P = 0.005, OR = 7.9) necrotising enterocolitis (25 cases) (P = 0.000, OR = 2.065), hypoxia (P = 0.011, OR = 6.492), and DIC (P = 0.004, OR = 1.817). Prematurity was seen in 43 cases (P = 0.000, OR = 6.825). In 37 (52.1%) patients the indication for transfusion was therapeutic and in the rest the transfusion was for prophylaxis. Mortality in those who received transfusion (33.8%) was significantly higher than in those who received no transfusion (4.08%) (P = 0.000, OR = 12.00). The mortality in the multitransfused group was very high (50%) compared to that in those who had had a single transfusion (10.34%) (P = 0.001, OR = 12.056). The commonest cause of death was DIC (41.6%) followed by pulmonary hemorrhage (20.8%) and intracranial bleed (16.7%). Conclusion : The major risk factors associated with severe thrombocytopenia requiring platelet transfusions were sepsis, NEC, hypoxia, and prematurity. Multiple platelet transfusions in newborn were associated with high risk for death. So measures to reduce risk factors, such as control of sepsis, NEC prevention, good antenatal care, and prompt management of fetal distress are recommended. Department of Transfusion Medicine, Medical College, Trivandrum, India. Background : The most interesting aspect of platelet-rich plasma (PRP) is related to the physiology of wound healing. PRP has been shown to have multiple wound healing growth factors and cytokines including PDGF, TGF, vascular endothelial growth factor, IL1, fibroblast growth factor, and PF4. These factors are thought to contribute to bone regeneration and increase in vascularity. This study attempted the use of homologous PRP as an adjunct in promoting wound healing and osseous regeneration in human third molar extraction sites. Methods : Homologous PRP was gelled with the addition of calcium chloride and rabbit brain thromboplastin in order to enable placement in the sockets of impacted mandibular third molars. The nature of healing was then compared with that of conventional surgery. Fourteen patients were selected and divided into two groups: A and B. In group A, PRP was placed in the socket prior to primary closure and this was considered the test group. In group B, no PRP was placed and this was the control group. All patients were assessed clinically and radiographically at regular intervals for a period of 16 weeks. Data was analyzed using SPSS v. 7.5. The Student's t test and ANOVA were used for statistical analysis and significance was accepted at P ≤ 5% level. Results : Clinical evaluation did not reveal significant differences between the two groups for parameters like pain on palpation, number of analgesics consumed, swelling, and range of mouth opening. Soft tissue wound healing, however, differed significantly between the groups, with the test group exhibiting better results. Standardized intraoral periapical radiograph assessed osseous regeneration at 2-week intervals. The test group showed earlier evidence of blending of socket margins and trabecular bone formation as compared to the control group. None of the test group subjects showed any immediate or delayed local or systemic reaction to the material used. Conclusion : It may be stated that PRP has contributed to better healing in the sockets of impacted mandibular third molars with regard to both soft tissue and bone. BJ Medical College, Ahmedabad, India. Introduction : The safety and efficacy of transfusion practice requires that comprehensive policies and procedures for blood administration be designed and followed to prevent or reduce errors. A very important, but unfortunately neglected, part in India is the taking of informed consent from the patient to be transfused. It is the duty of the treating physician to disclose to patient the nature of the proposed treatment and the risks, complications, and expected results or effects of the treatment. The patient must also be informed of the alternatives to the treatment and their attendant risks and benefits. At present, very few institutions consider obtaining separate informed consent for blood transfusions; rather, the patient gives a general consent for the treatment. This should change in this era of increasing patient's rights. Aims and Objectives : This audit was carried out to find out in what percentage of cases informed consent of the patient was taken by clinicians prior to transfusion of blood products in Civil Hospital, Ahmedabad. Materials and Methods : To collect data we scrutinized the case papers of the patients from different wards in Civil Hospital, Ahmedabad, who had been issued blood products from January 2009 to June 2009. Results : A total of 17,362 patients were supplied blood products during this period, out of which 10,445 were males and 6,917 were females. The ages ranged from newborn to 93 years. Only in 10% of cases was proper informed consent taken by the clinicians. Conclusion : Obtaining a separate consent requires time and paperwork but it benefits the patients by increasing their knowledge and autonomy in the transfusion process. The patient has a right to know the risks and benefits of blood/blood product transfusion, as well as the alternatives. This will also save the physician from a lot of inconveniences later on in case the patient develops a transfusion reaction. Kumar K., Das S.S., Katharia R., Agarwal P., Chaudhry R.K.
Background : Transfusion practice is directed towards the optimization of transfusion therapy. Fresh frozen plasma (FFP) is frequently transfused to patients with mild prolongation of coagulation values to determine the effect of FFP transfusion on coagulation variables and the correlation with bleeding in patients with liver disease. The transfusion is done under the assumption that FFP will correct the coagulopathy. Material and Methods : A FFP usage audit was performed on 816 consecutive FFP units transfused in 119 transfusion episodes to 75 patients. The standards taken as reference were BCSH. Almost all patients had coagulation tests before and after FFP administration; 54% of the patients had abnormal coagulation test results and 46% patients had normal coagulation tests. All patients were transfused with FFP for a pretransfusion prothrombin time (PT) between 13.1 s and 19.3 s and APTT between 25.2 s and 48.6 s.
Results : Out of 816 FFP units, 203 (24.87%) units were transfused to patients who had bleeding due to chronic liver disease, 45 (5.51%) units were transfused prior to liver biopsy to correct prolonged PT, 168 (20.58%) units were transfused for chronic liver disease (CLD) to correct prolonged PT and APTT in the absence of bleeding, 189 (23.16%) units were used for nutritional support and hypovolemia replacement, and 211 (25.85%) units were used for patients with miscellaneous causes, including sepsis, rectal carcinoma, pancreatitis, liver abscess, and enteric perforation. Overall, 475 (58.21%) FFP units were appropriately used and 341 (42.79%) were inappropriately used. Conclusion : In spite of having limited resources, only 58.21% FFP was appropriately used. This is mainly due to the absence of national guidelines, lack of awareness of the international guidelines, and ignorance regarding the risks of irrational transfusion. Aim : To create awareness regarding transfusion-associated graft vs host disease (TAGvHD) among transfusion specialists so as to prevent untreatable conditions in patients. TAGvHD is associated with 80-90% mortality, butthis mortality can be prevented. Death is usually due to infections or hemorrhage secondary to bone marrow aplasia. TAGvHD results from engrafted viable donor T-lymphocytes present in cellular blood components in a recipient whose body cannot recognize or destroy them. The susceptible patients at risk include immunocompromised allogenic bone marrow transplant recipients, those who have received intrautirine transfusions, patients under treatment for hematological malignancies, premature neonates receiving exchange transfusions, and children with congenital immunodeficiency states. TAGvHD can also occur in immunocompetant individuals who receive cellular blood products from first-degree relatives. In our country, in the hospital scenario, blood collections are mainly from directed donors (i.e., relatives of the patient), which means that there is an increased possibility of blood products being transfused from first-degree relatives. Conclusion : As there is no adequate therapy for TAGvHD, prevention is the only method of avoiding potential fatalities. Prevention is by irradiation of blood products or avoidance of first-degree relatives as blood donors for any patient. Background : Limiting the use of blood components to occasions when they are absolutely required can minimize risks to patients due to the transfusion, help conserve a limited resource, and also contain costs. Aim : To determine the effect of prospective monitoring of transfusion requests on the appropriate use of blood components. Materials and Methods : This is a prospective interventional study performed at a stand-alone blood bank. Blood request forms were modified to incorporate details on indications for transfusion and the clinical and relevant laboratory parameters of the patient. Requisitions (n = 3000) were monitored by trained medical officer/laboratory staff for compliance with institutional guidelines. The treating clinician was contacted and relevant points were discussed prior to processing the request. In case of disagreement, the original request was always honored. Rate of inappropriate transfusion episodes after intervention were compared with those prior to the intervention. Results : Requests for fresh blood, whole blood, use of rapid tests for transfusion-transmitted infections testing, directed donations, and non-justified requests for FFP were the most common inappropriate practices noted. Due to active intervention and interaction with clinicians, there was a significant reduction in the rates of inappropriate transfusion episodes (red cells 56% to 21% (P = 0.002), platelets 37% to 13% (P < 0.001), and FFP 68% to 41%). The use of whole blood was reduced by 36% and acceptance of red cell units up to 7-10 days old increased by 38%. The concept and practice of insisting on directed blood donations, however, has changed only marginally. Acceptance of out-of-group platelet transfusions has increased from almost nil acceptance to 28% (P < 0.001). Conclusion : The retrospective audit was useful to identify the current patterns of blood usage and areas of improvement. Prospective monitoring of blood requisition forms was indeed useful in reducing the rate of inappropriate transfusions. However, overall success needs persistent and focused scientific interaction with our clinician colleagues. Aim : The purpose of this study was to evaluate the trends in the use of blood components in our hospital during the last 6 months. The concerns were about the side effects of blood transfusion and cost and availability of donated blood from other blood banks. Materials and Methods : Data was collected from the database of all patients and was statistically analyzed. Results : This study showed that there was excessive cross-matching of blood and wastage of blood units when the hospital blood bank was non-operational. Blood utilization and discarding of components due to non-usage was reduced in all surgical patients in the months when the in-house blood bank became operational. The ready availability of components in the hospital itself reduced the apprehension of surgeons and anesthetists. Conclusions : A reduction in blood transfusion rate can be achieved by the provision of a functional blood bank in the hospital. Performing blood bank internal audits and reviewing statistics are vital tools for a successful blood transfusion service. Background : Transfusion of blood and blood components for various diseases is an important part of modern day medicine. Aim : To study blood utilization trends by different clinical specialties. Materials and Methods : PGIMER, Chandigarh is 1500-bedded tertiary care center in north India that provides patient care in various clinical specialties and super-specialties. The institute has well-established divisions of pediatric and adult hemato-oncology, a thalassemia clinic, a hemophilia clinic, CTVS (cardiothoracic vascular surgery), a trauma unit, an obstetrics and gynecology department, a renal transplant center, and an advanced pediatric center. All these departments may require transfusion support for their patients at some point. We studied the trends in blood utilization by the various specialties. Blood utilization by a department was calculated as percent utilization of total units. Results : With regard to PRBC, 26% of PRBC units were utilized for routine surgeries, 14% for medical emergencies, and 11% for surgical emergencies. Hemato-oncology and thalassemia clinics utilized 10% each, obstetric emergencies and trauma utilized 9% each, pediatric and neonatal transfusion utilized 6% of blood units, and CTVS surgeries utilized 5% of PRBC units. In case of FFP, clotting factor deficiencies (hemophilia A and B and von Willebrand disease) used up 40% of the FFP units, surgical bleeds utilized 21%, hypoproteinemia used 20%, and DIC/sepsis 12%. Six percent of FFP was used for patients with hepatic failure and only 1% in hypovolemic shock as volume replacement. In case of platelets, 60% of platelets were used for adult and pediatric hemato-oncological patients, 18% were used for patients with DIC/sepsis, 10% were used for patients with ITP (idiopathic thrombocytopenic purpura) and other platelet-related disorders, and 12% were used during CTVS surgeries and other surgical bleeds. Conclusion : For appropriate and adequate transfusion support for the patients we need to carry out regular audits on blood utilization and periodically assess transfusion triggers so that revisions can be made. Sachan D., Gupta N., Chaudhary R.K.
Background : Heparin-induced thrombocytopenia (HIT) is an antibody-mediated pro-thrombotic syndrome that requires prompt recognition and treatment to avoid life-threatening thromboembolic complications. Objective : To study the prevalence of HIT in cardiac surgery patients. Materials and Methods : Patients undergoing cardiac surgery were included in the study. Platelet counts were monitored in 100 consecutive patients at baseline, i.e., preoperatively within 24 h prior to surgery and on alternate days during postoperative day 1 to day 14 or at discharge, whichever was earlier. Patients having definite thrombocytopenia, with or without clinical suspicion of HIT, were further tested using ELISA. Serum was screened for anti-heparin PF4 antibody using commercially available ELISA and particle gel immunoassay (PaGIA). Pretest clinical T-scoring was also done in 42 patients with definite thrombocytopenia. Result : Out of 100 consecutive patients, 42 patients met the criteria for clinical thrombocytopenia; these patients were further investigated using antigen assays (ELISA) and were T scored. Out of 42 patients, 19 patients were positive for H/PF4 antibodies. A definite diagnosis of HIT was established in 6 of these 19 patients on the basis of clinical T score and positive antibody assay by ELISA and/or PaGIA. Discussion : The overall prevalence of HIT in cardiac surgery at our center was found to be 6%. Immunologic assays, including ELISA and PaGIA, provided results within a few hours and helped in quick diagnosis and appropriate management. Tendulkar A.A., Rajadhyaksha S.B., Antia V.P. Therapeutic phlebotomy has for long been the preferred treatment modality for patients with polycythemia and hemochromatosis. A 20-year-old man presented with a large parapharyngeal schwannoma compressing the left internal jugular vein. Laboratory investigations revealed sickle cell disease (HbS = 71.9%, HbF = 22.5%) and indirect hyperbilirubinemia. CT abdomen revealed cholelithiasis and autosplenectomy. Patients with high HbS levels are prone to anesthesia-induced hypoxia and sudden death. A conservative approach was chosen, with two therapeutic phlebotomy procedures on two consecutive days. Each therapeutic procedure was followed by a simple transfusion of one unit of red blood cells. The partial exchange resulted in a reduction of the abnormal sickle cells (HbS = 55.6%, HbF = 16.8%). The surgical team subsequently excised the tumor successfully under general anesthesia. The blood transfusion service plays several important supporting roles in organ transplantation. Organ transplants must be ABO compatible because of the powerful complement-fixing effect of ABO antibodies on endothelial cells. Major ABO mismatching can cause rapid graft rejection due to endothelial damage by ABO antibodies. Lab tests routinely performed include ABO grouping and Rh typing, direct antiglobulin test (DAT), a screen for unexpected red cell antibodies, HLA typing, and HLA antibody studies. In case of a recipient receiving an ABO compatible but non-group identical organ, passenger lymphocyte hemolysis can occur. This is prevented by prophylactic use of mutually ABO compatible red cells during intraoperative and postoperative infusions, during the first postoperative month, or at the appearance of an antibody. Transfusion support for cardiac transplant is very similar to that routinely used for other surgical procedures in which cardiopulmonary bypass is employed. Pancreatic and lung transplants have comparatively low transfusion requirements. The concept of pretransfusion donor-specific transfusions to induce tolerance for live-donor kidney transplants has declined after the introduction of more potent immunosuppressants to prevent and treat rejection. A liver transplant program presents one of the greatest challenges to the hospital transfusion service, demanding maximal support in terms of preparedness, supply, and responsiveness. Massive blood loss and hypocoagulability due to preexisting liver disease and/or the anhepatic interval during the procedure create complex problems for the transfusion service. Intraoperative red cell recovery is used in adult liver transplantation, which is a crucial support in massively transfused patients and also in complicated heart transplant patients. CMV-reduced risk blood is indicated in CMV-seronegative recipients of organs from CMV-seronegative donors in selected patients. Transfusions before, during, and after transplant surgery should be leukocyte-reduced to reduce the risk of developing HLA antibodies. Irradiation of blood components in routine solid organ transplant recipients is not necessary. Computers are more precise and accurate than human beings. Transcription and labeling errors do not happen with the computers. Machines can perform monotonous and repetitive functions with far more accuracy than human beings. Computers can process data into useful information, reports, and records. Retrieval of data and reports is fast and reliable. Inventory management with principles like first-in-first-out (FIFO) becomes extremely easy. Automation, with reference to optic symbology/bar codes and informatics in blood banks, enables better process control and precision and therefore safety for the patient who is to receive a transfusion. Automation has two critical components, optical symbology/bar codes and informatics/software, both of which work in tandem with the robotic testing machines to ensure that all functions of the blood bank take place smoothly and accurately. Blood banks have always had microprocessor-controlled equipment such as blood storage refrigerators, blood bag centrifuges, etc. There is now increasingly greater usage of robotic testing machines that can efficiently perform tasks like blood grouping, irregular antibody screening, cross-matching, and enzyme immunoassay, with humans just having to push the right keys. They are interfaced with the bar codes to capture the data and the software to transmit the results. 3 The equipment can be easily procured, and integration with the standard bar code format and validated software completes the picture. A postal survey conducted in 2005 reflected the scenario of that time: very few (less than 1%) blood banks had bar codes, though quite a few (30.4%) had some software or computerization in place. Major strides have been made in a vast number of blood banks since then in the field of automation. The bar code system has to follow the international code - code 128. There is an international body - ICCBBA (International Council for Commonality in Blood Bank Automation) - to standardize the bar code system across the world. Likewise, the FDA of the US has defined the validation criteria of any software that is to be used in a blood bank. The dynamic nature of blood banking presents significant challenges in information acquisition, processing, and management. Blood banks have turned increasingly to technology for assistance in information handling. Greater numbers of blood banks are moving on to bar codes and software. It is extremely important to ensure that the bar codes used follow code 128 (and, preferably, get registered with ICCBBA) and use validated software. For more than 30 years, MacoPharma has developed and manufactured blood bag systems for transfusion therapy. The improvement in traceability was always a priority for securing the blood chain processes. Today, this traceability is ensured through printed bar codes and codes printed or embossed on sub-elements of blood bags. Radio-frequency identification (RFID) is a technology that is able to register and transfer a considerable amount of data throughout the whole shelf life of an item. RFID tags are now used in many different industries. RFID can be applied to improve patient safety by matching caregiver, patient, and blood components to ensure the 5 'rights': right patient, right medication, right time, right dose, and right route. Considering the possible benefits of this new technology, MacoPharma is exploring all possible uses of the RFID technology in transfusion medicine. RFID systems consist of the combination of a chip with an antenna, a reader linked to a computer, dedicated software ('middleware'), and a database. In order to evaluate integrated RFID solutions, we have defined a mapping for use in transfusion medicine. This mapping includes Smart Label Unique Identification, an application code, a MacoPharma reference number, a lot number, space for a donation number, and blood product code. Our validation studies show that RFID tags could be easily included in blood bags. RFID tags are useful to ensure optimal traceability (especially between noncompatible IT systems), to secure transfusion processes (pathogen inactivation, bed-side electronic cross-matching), to improve data acquisition (saves time and is safer), to simplify blood components storage (random storage), and to avoid illegal use of blood components.